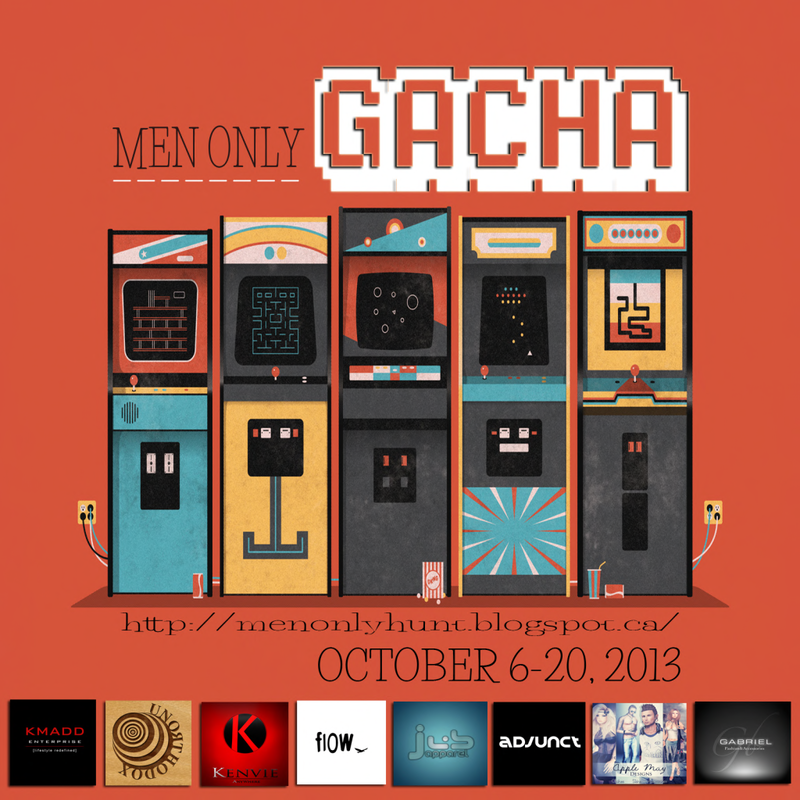 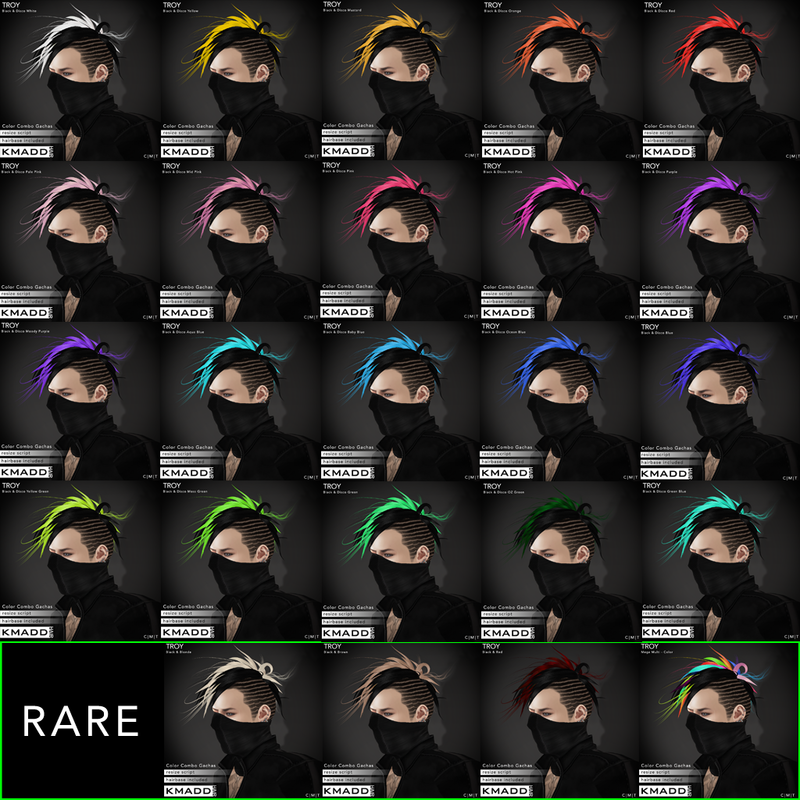 50L per play | TRANSFER | 4 Rares | 24 colors! 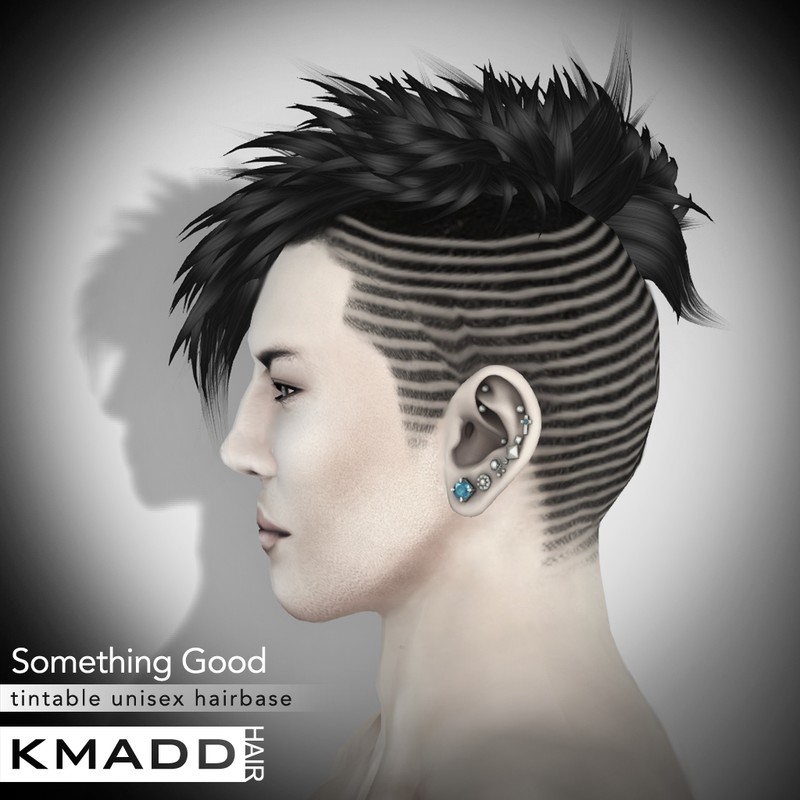 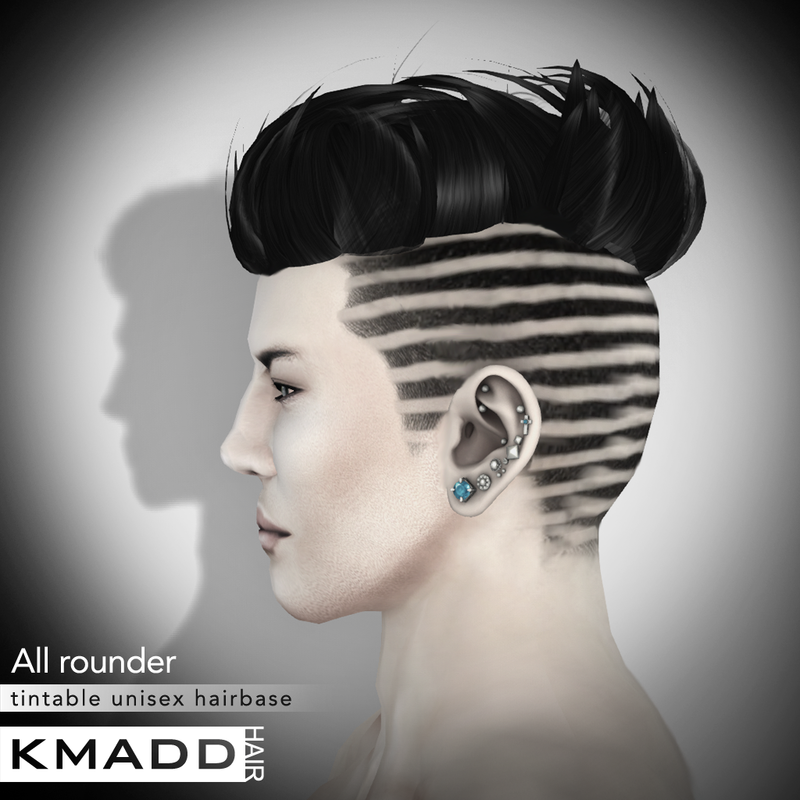 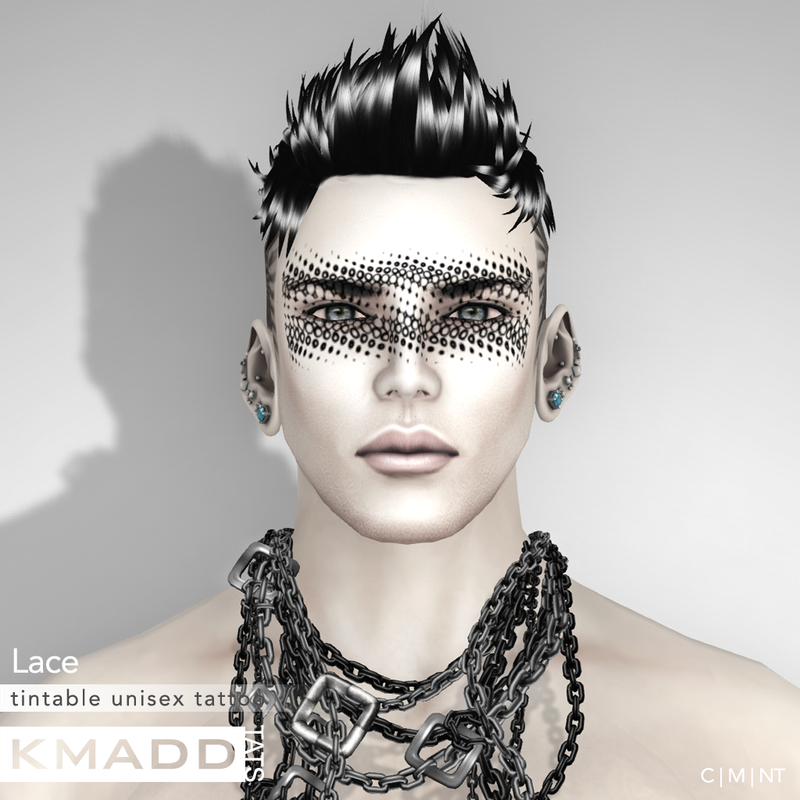 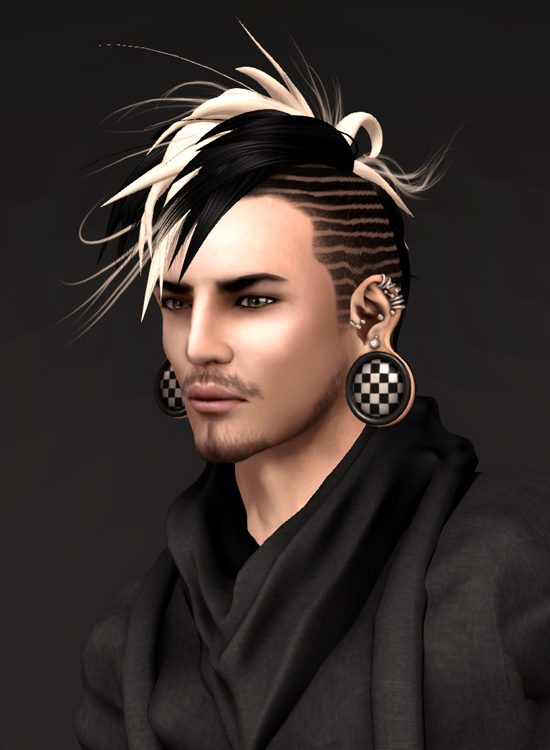 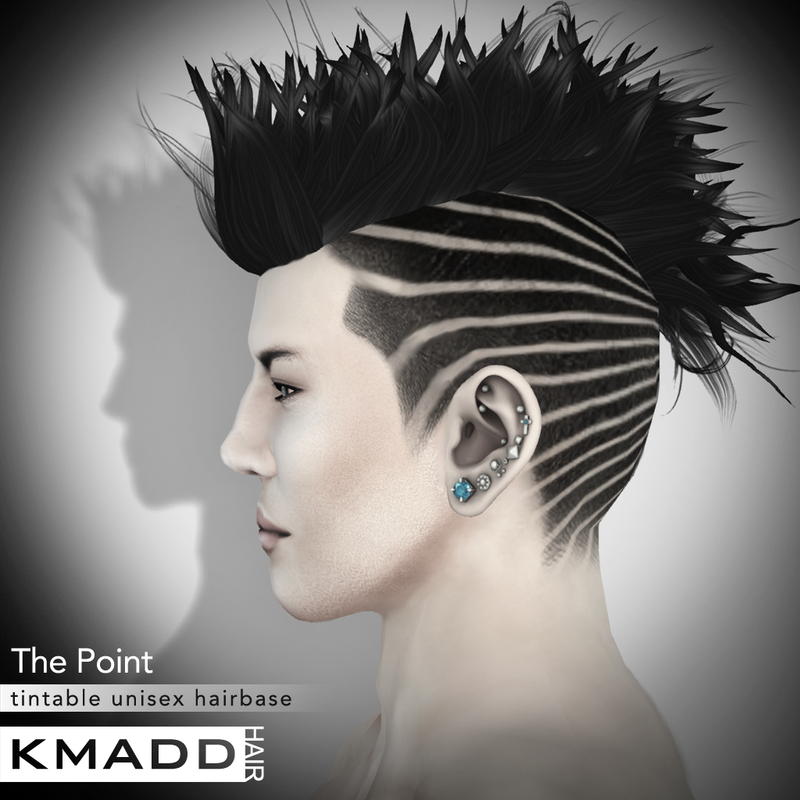 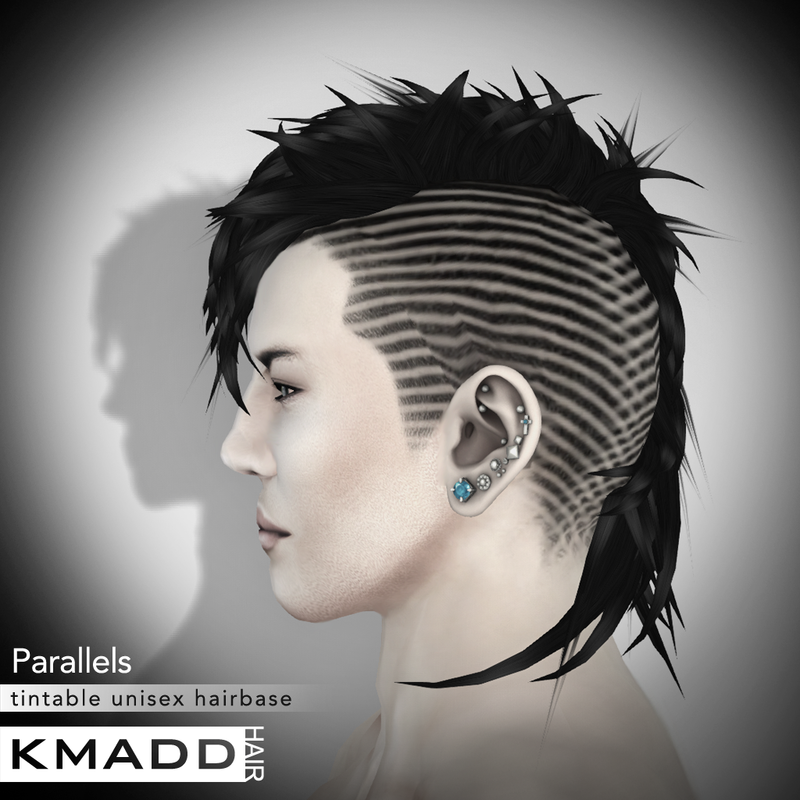 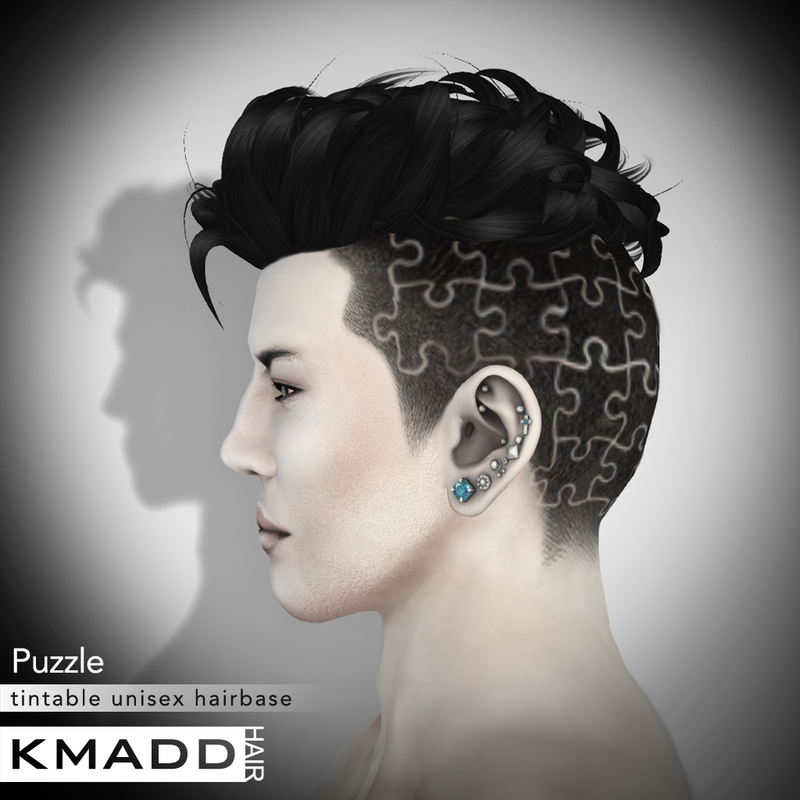 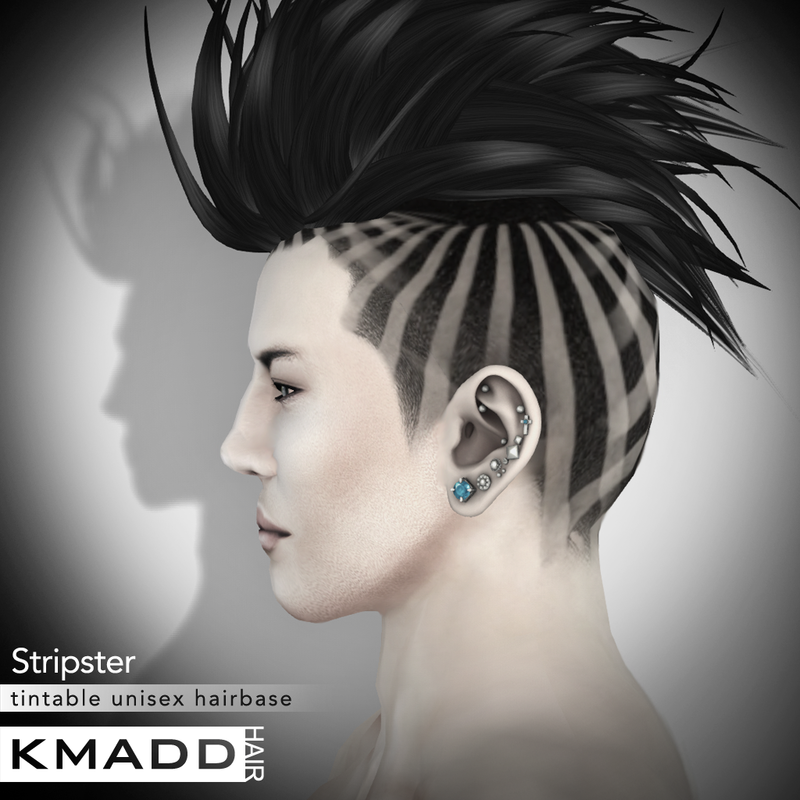 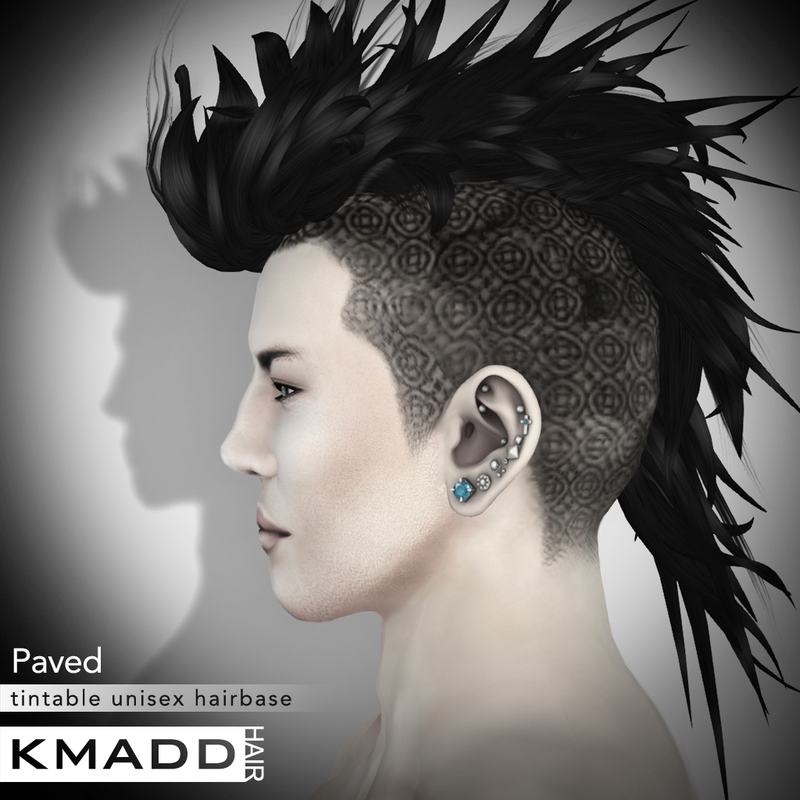 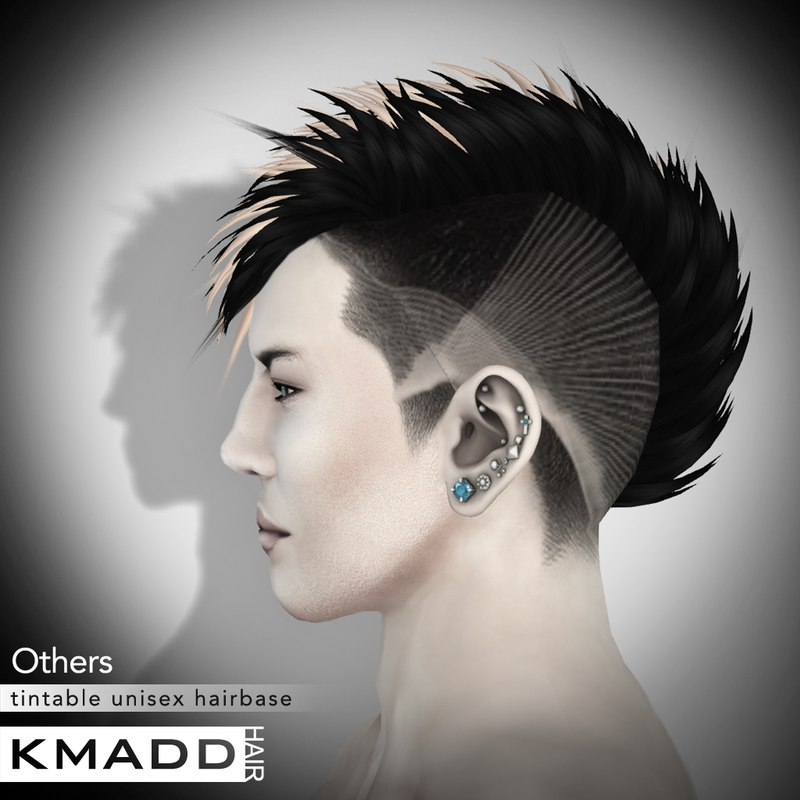 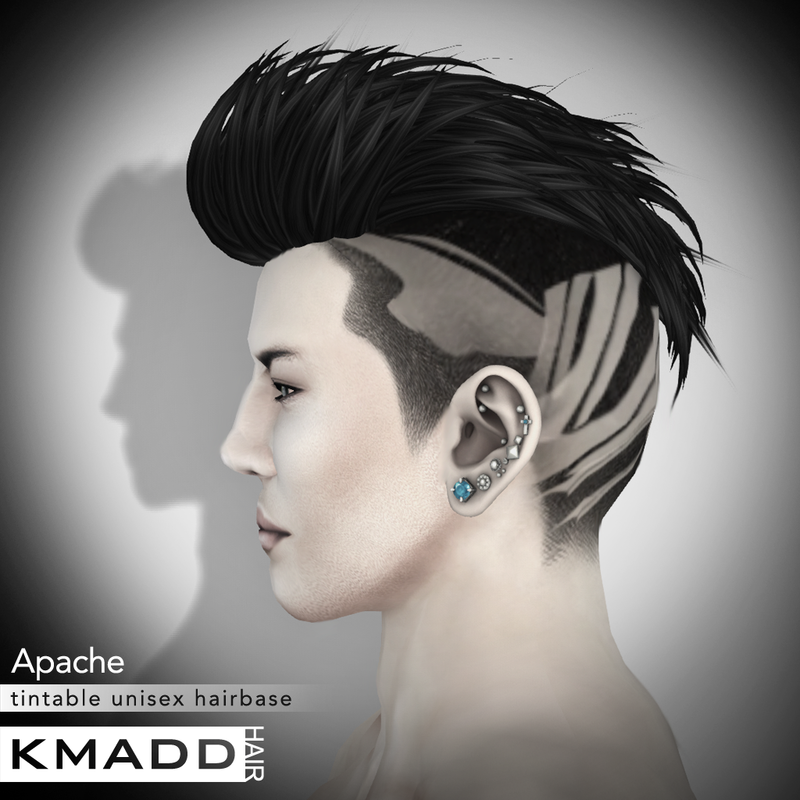 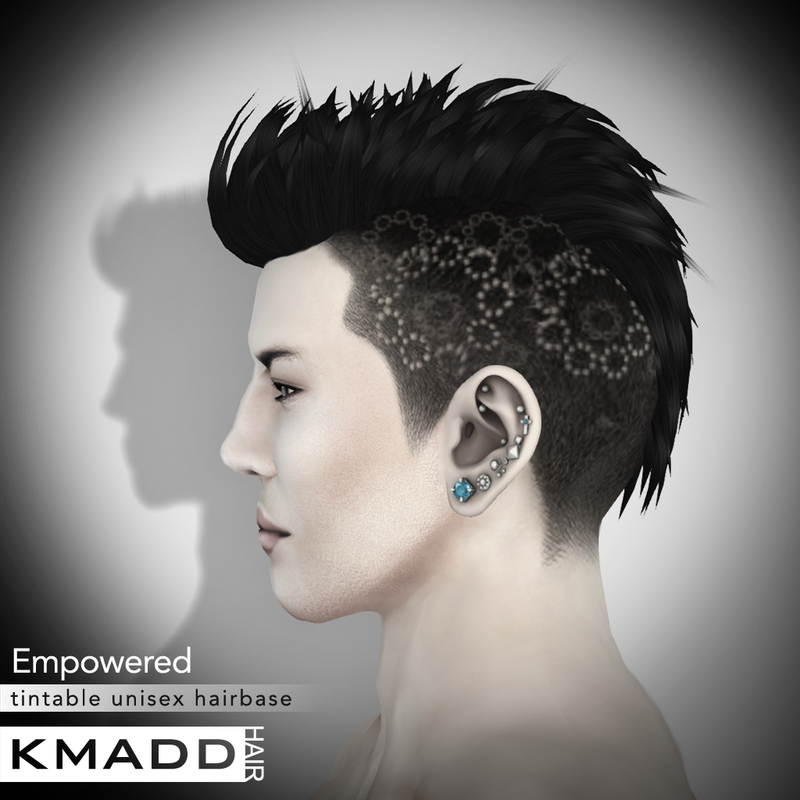 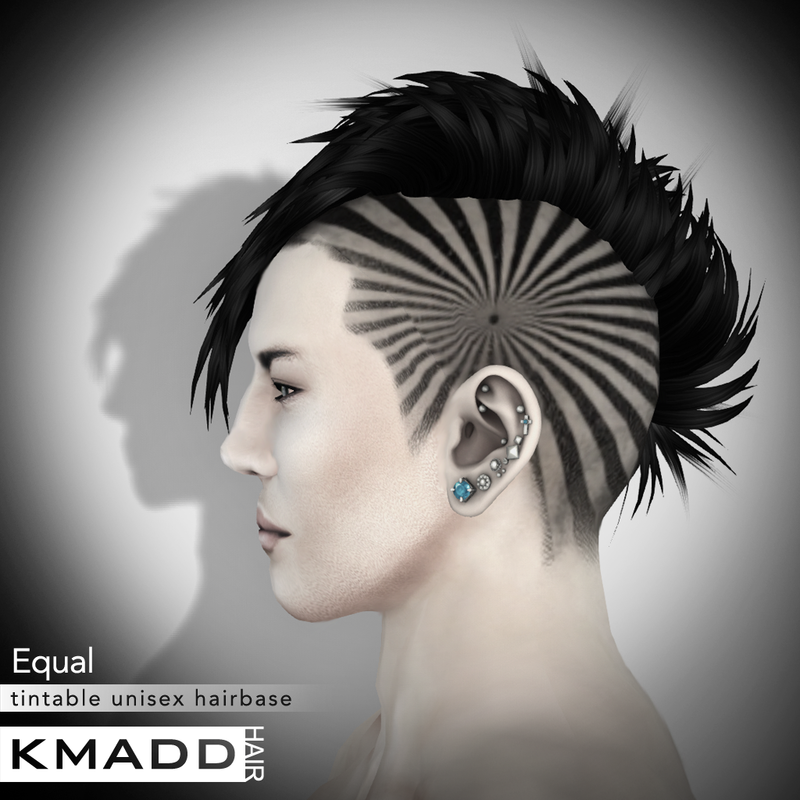 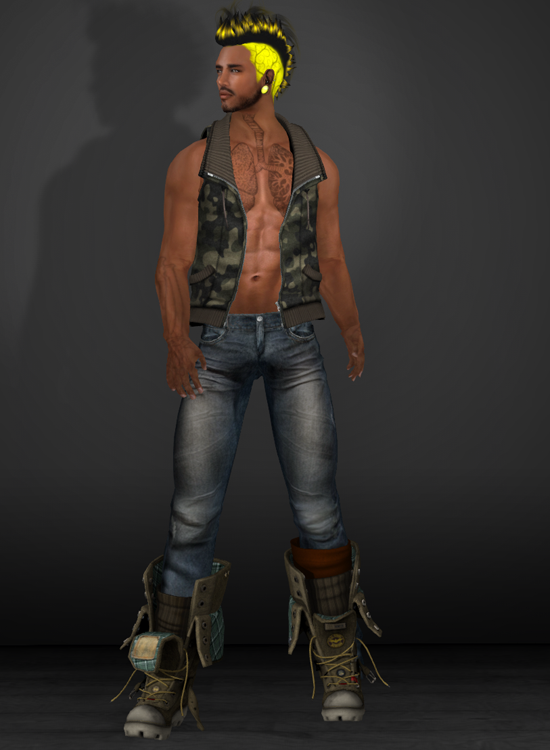 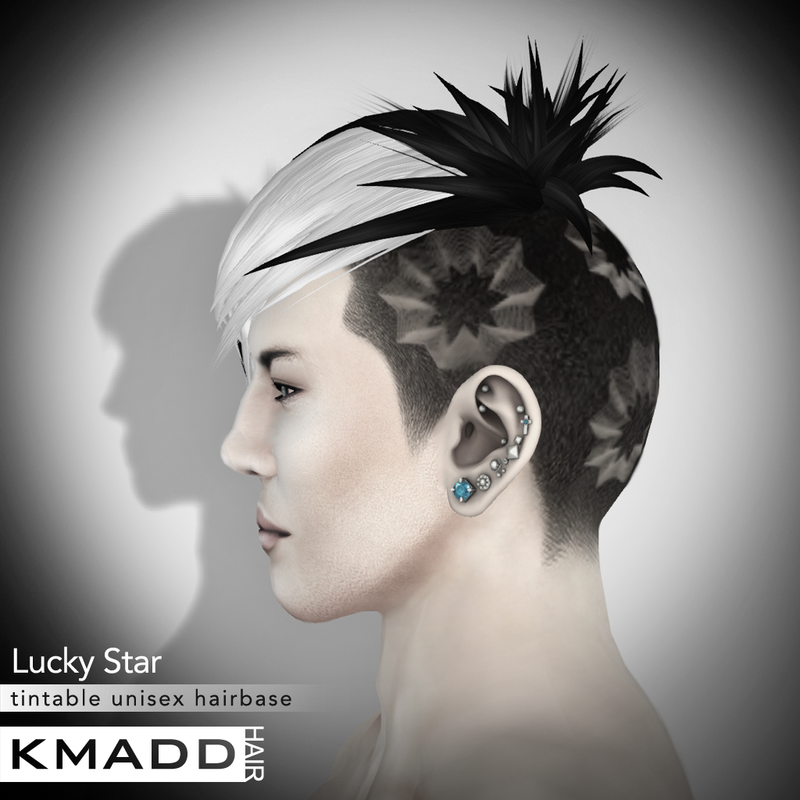 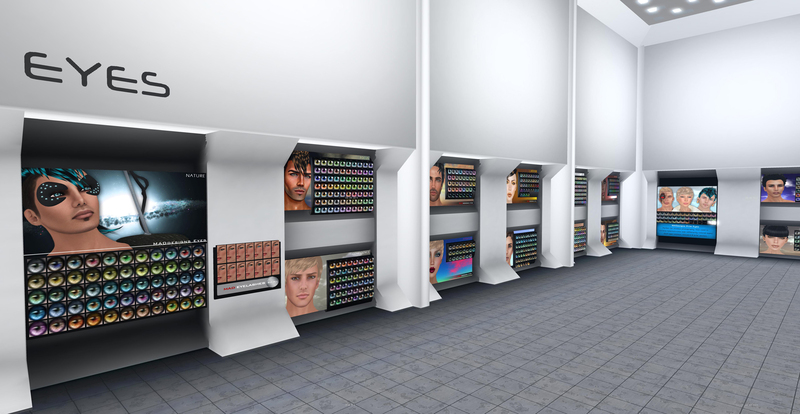 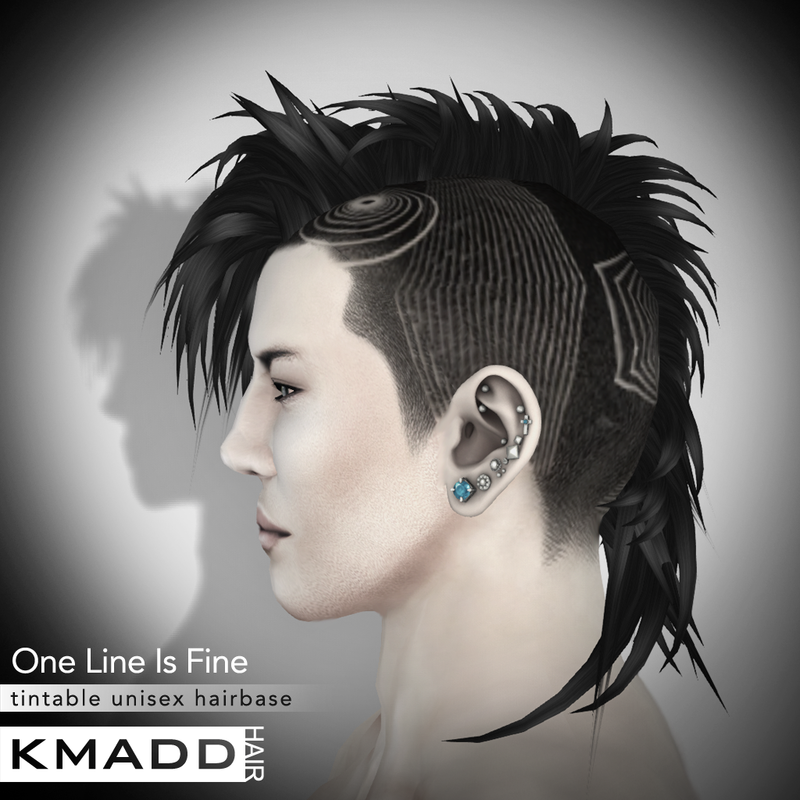 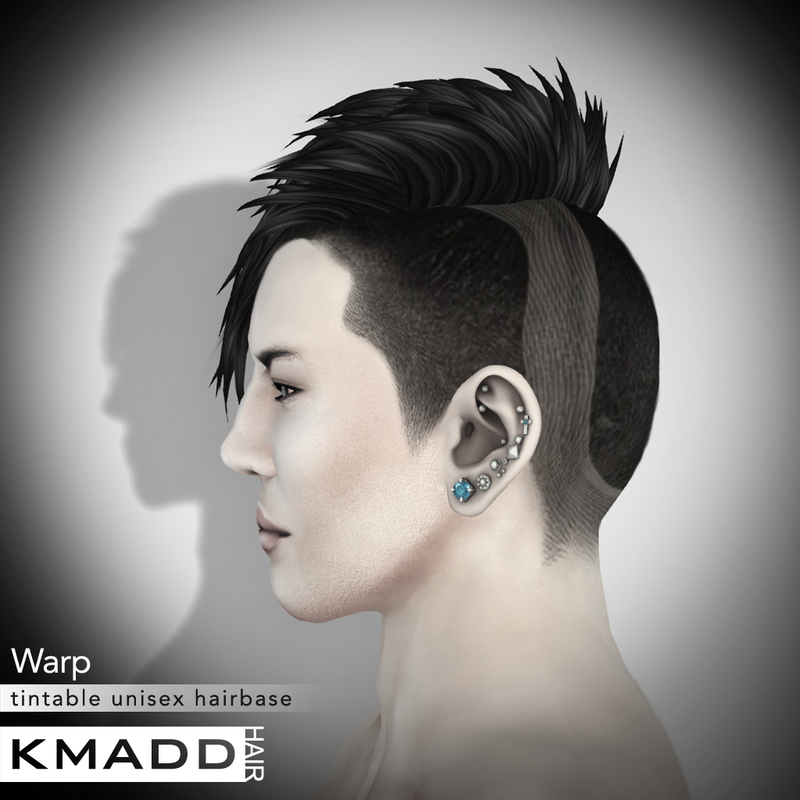 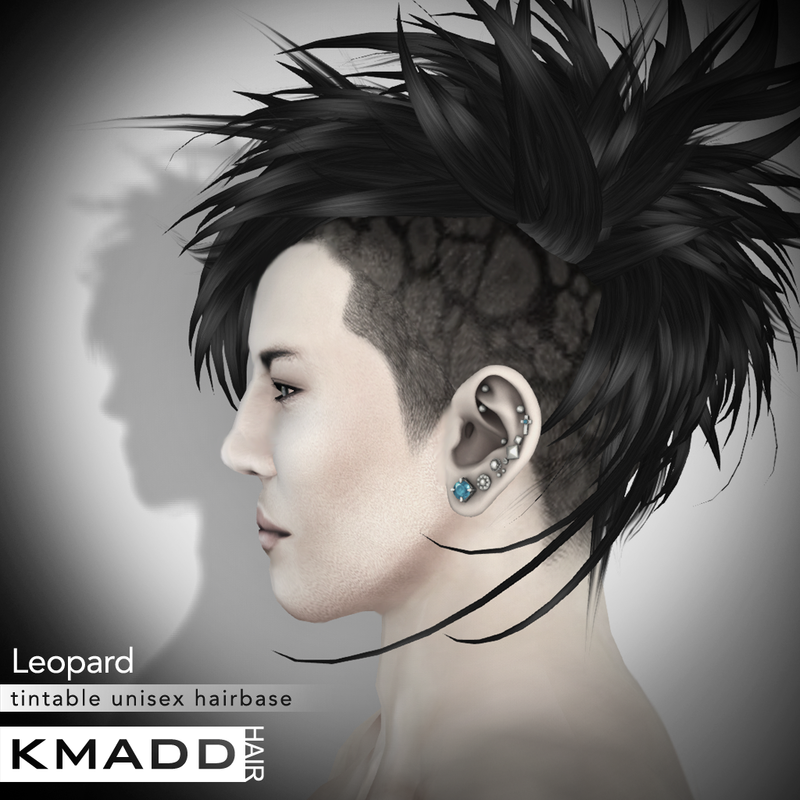 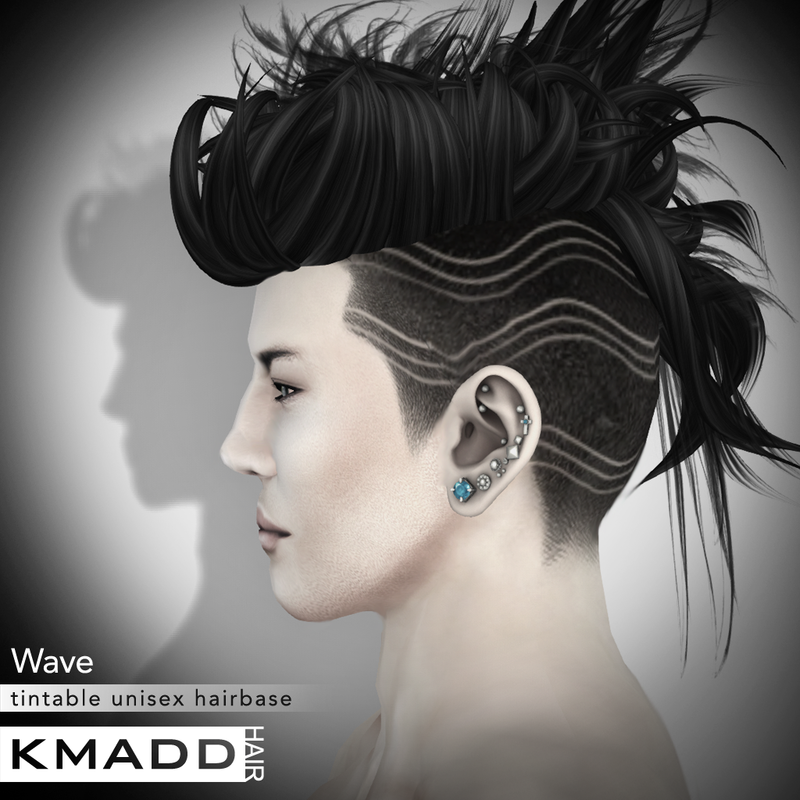 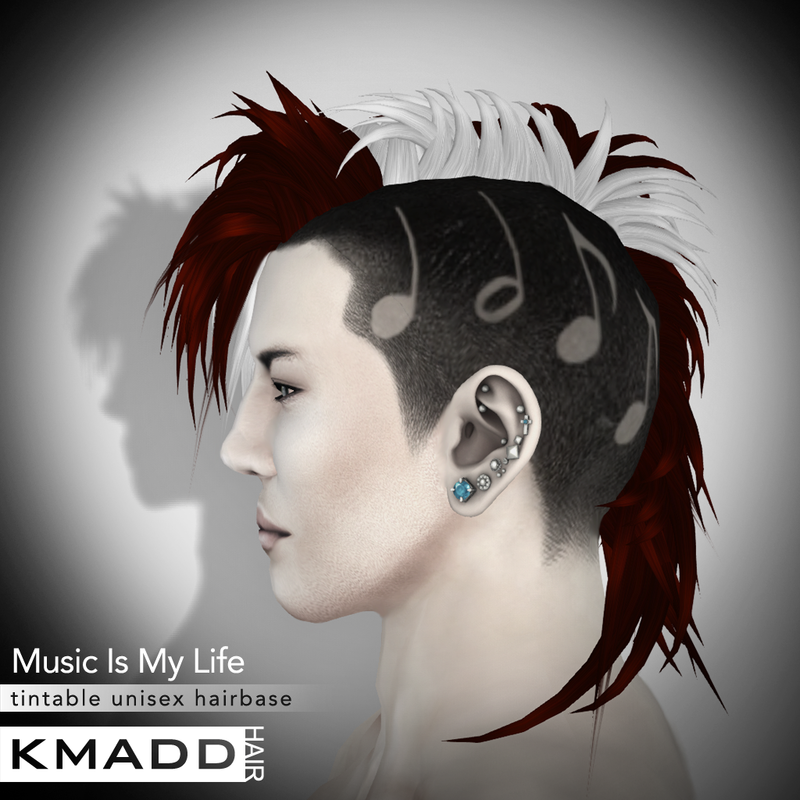 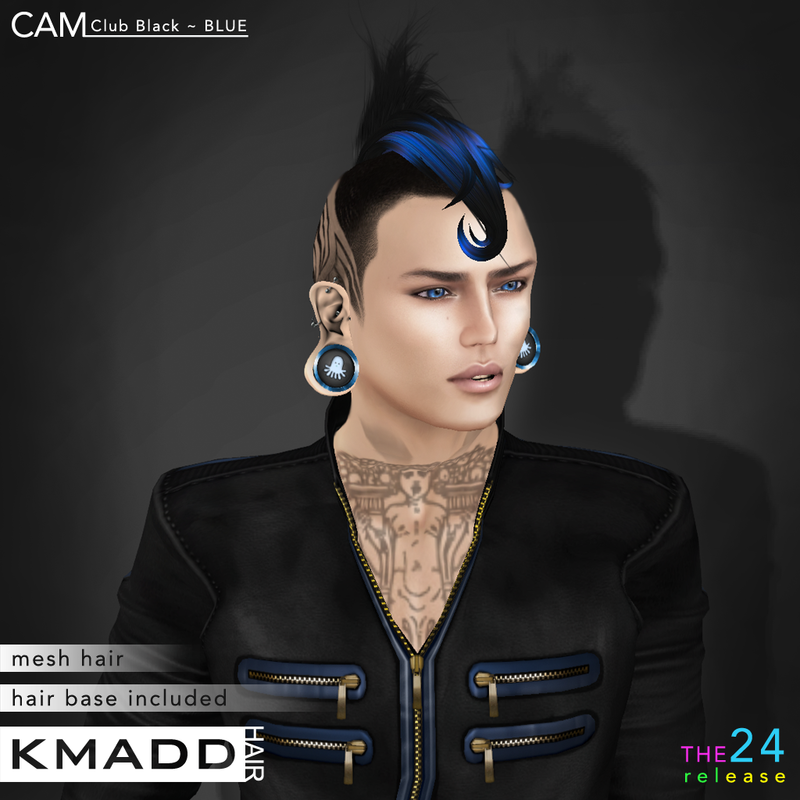 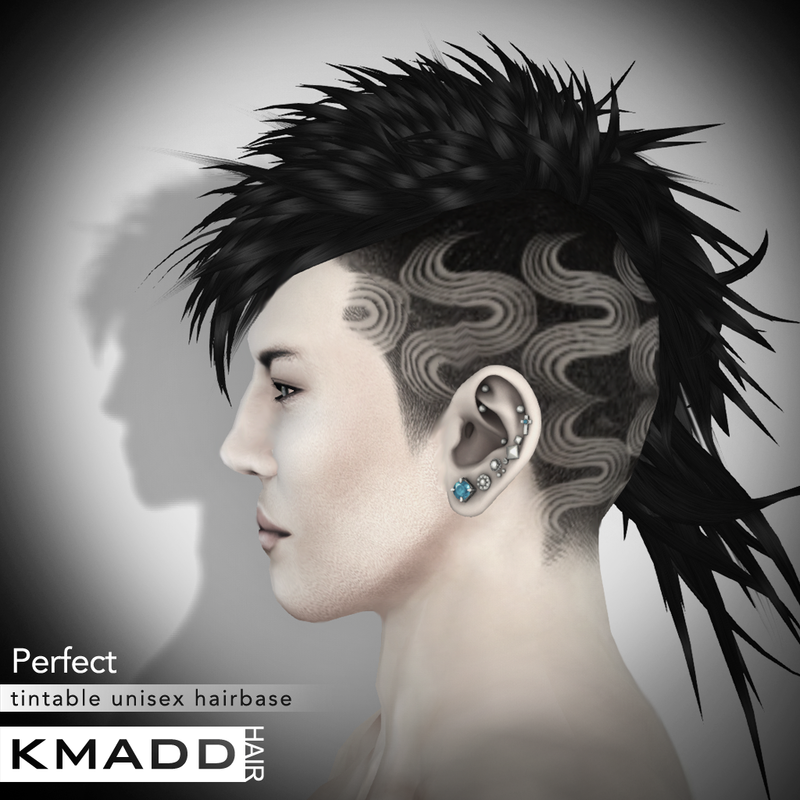 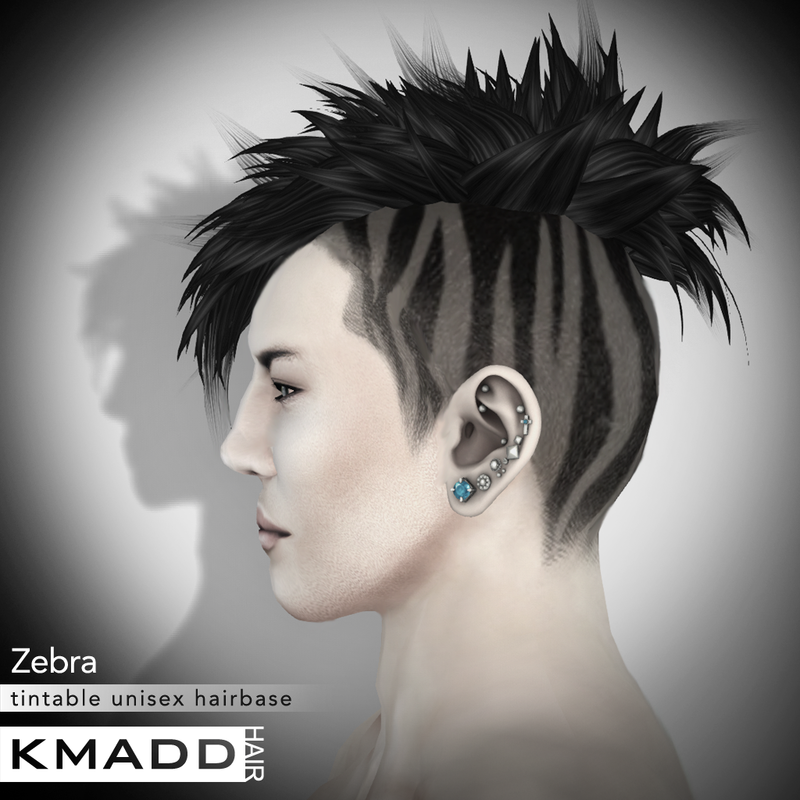 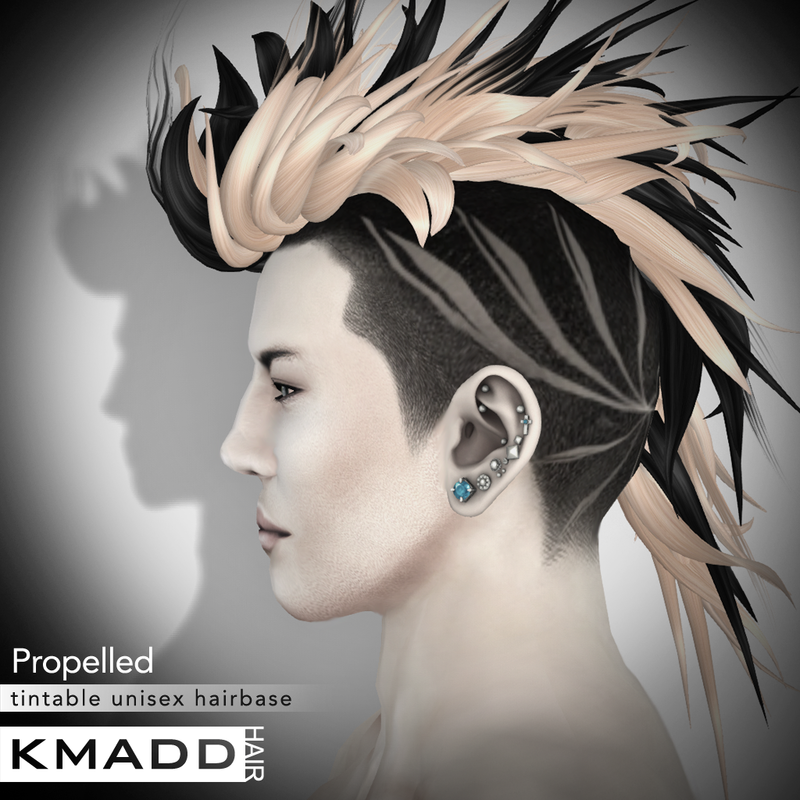 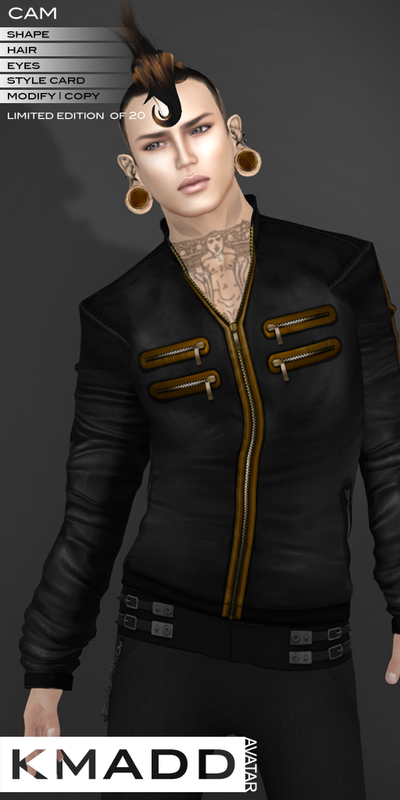 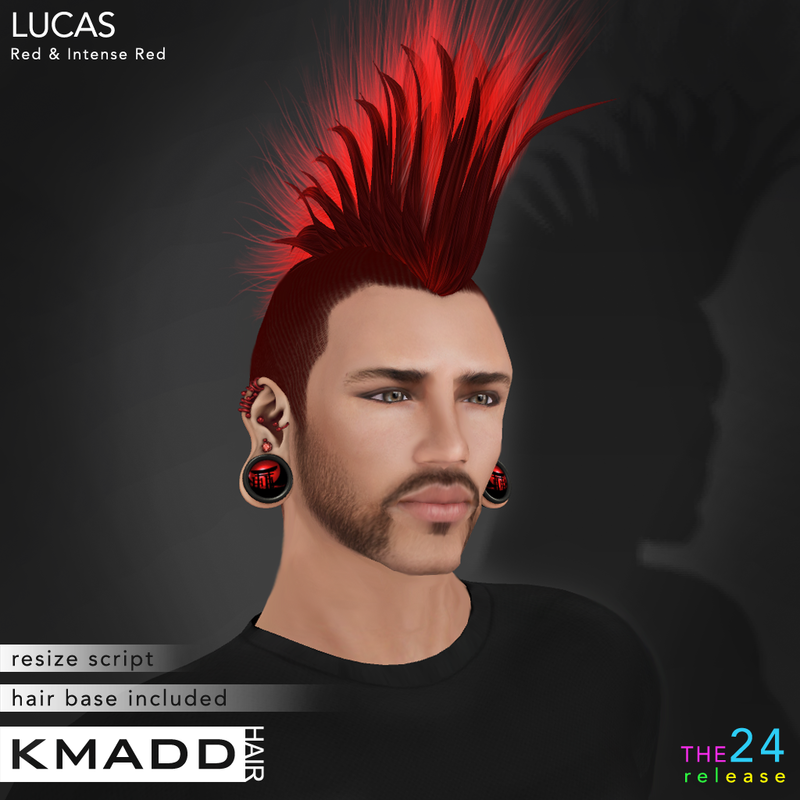 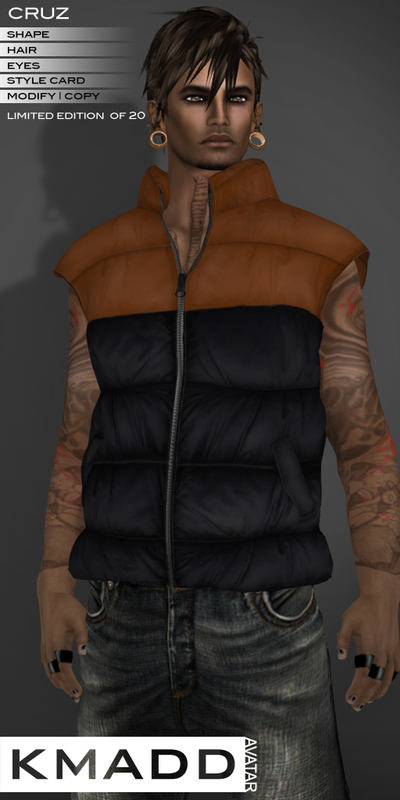 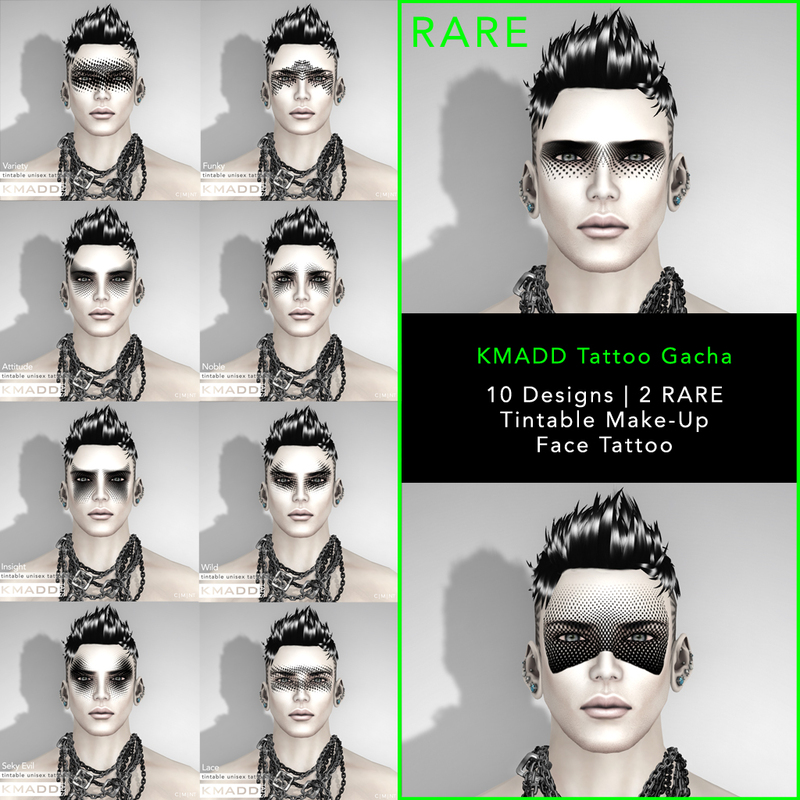 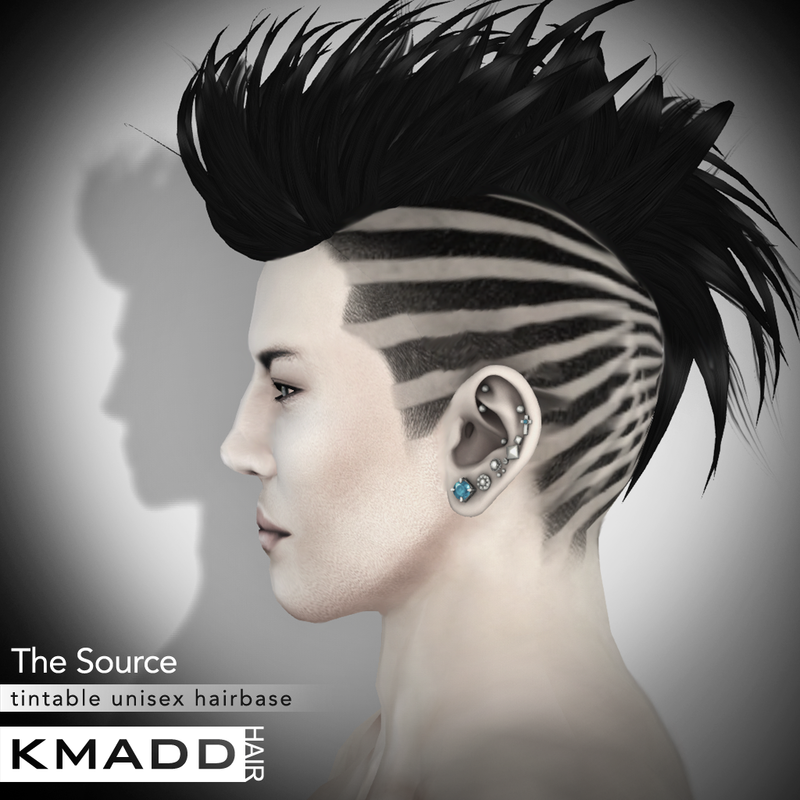 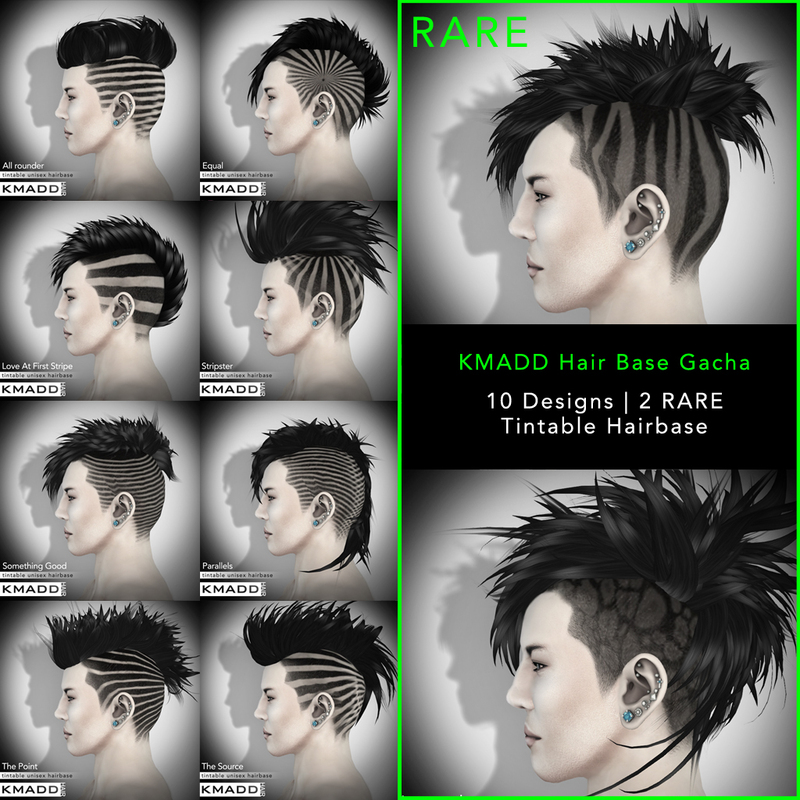 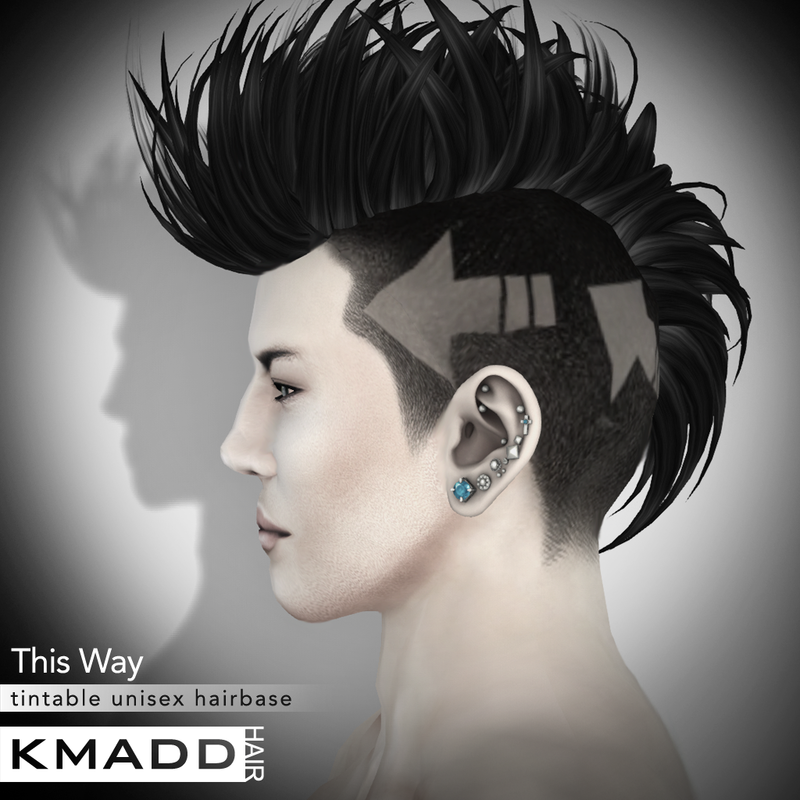 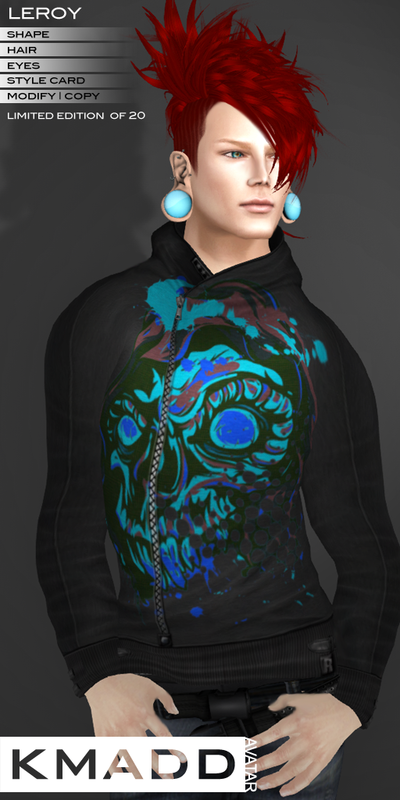 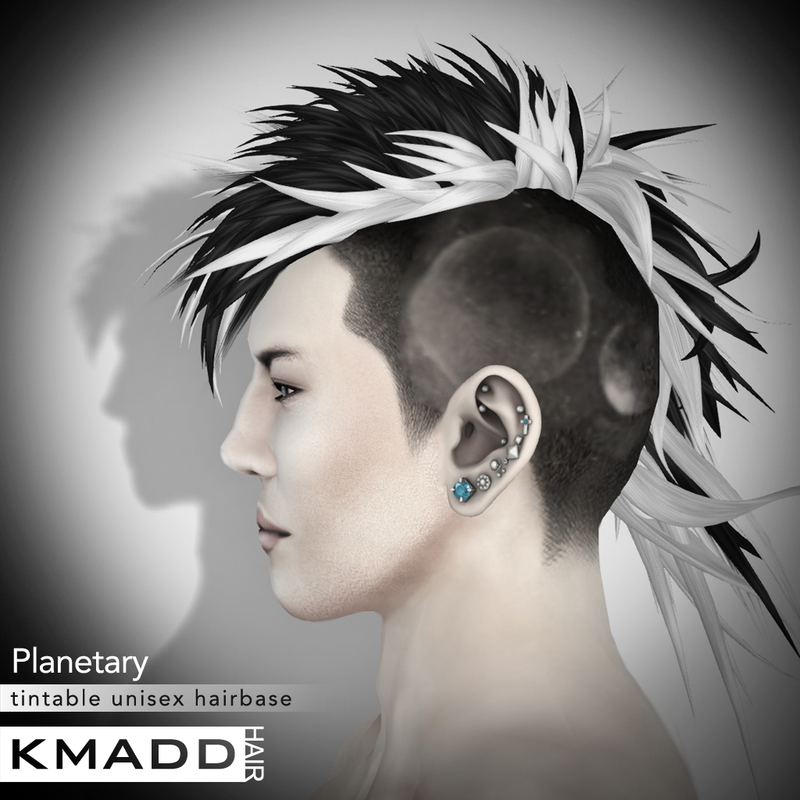 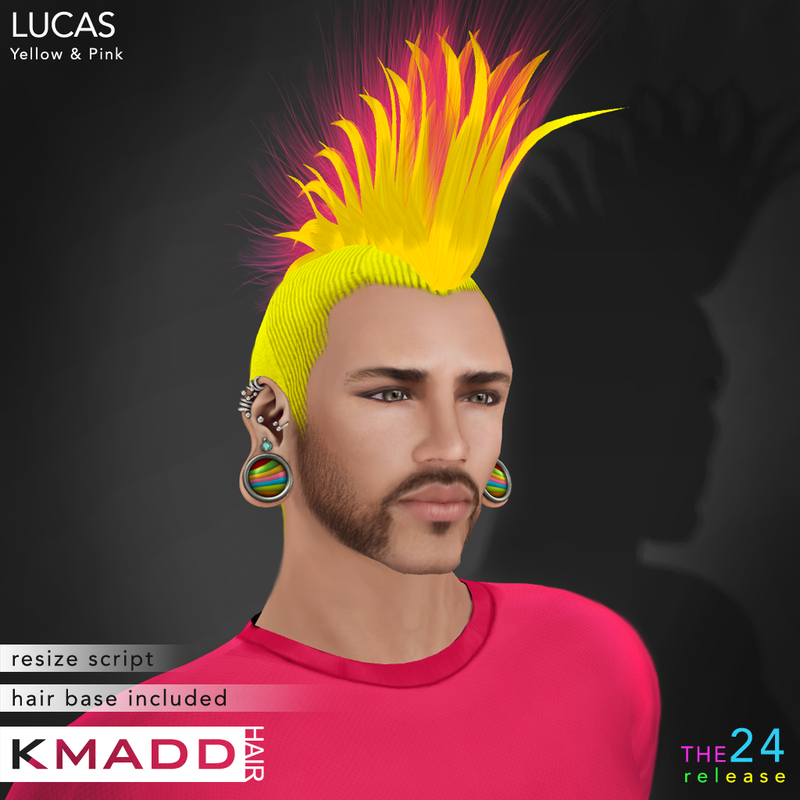 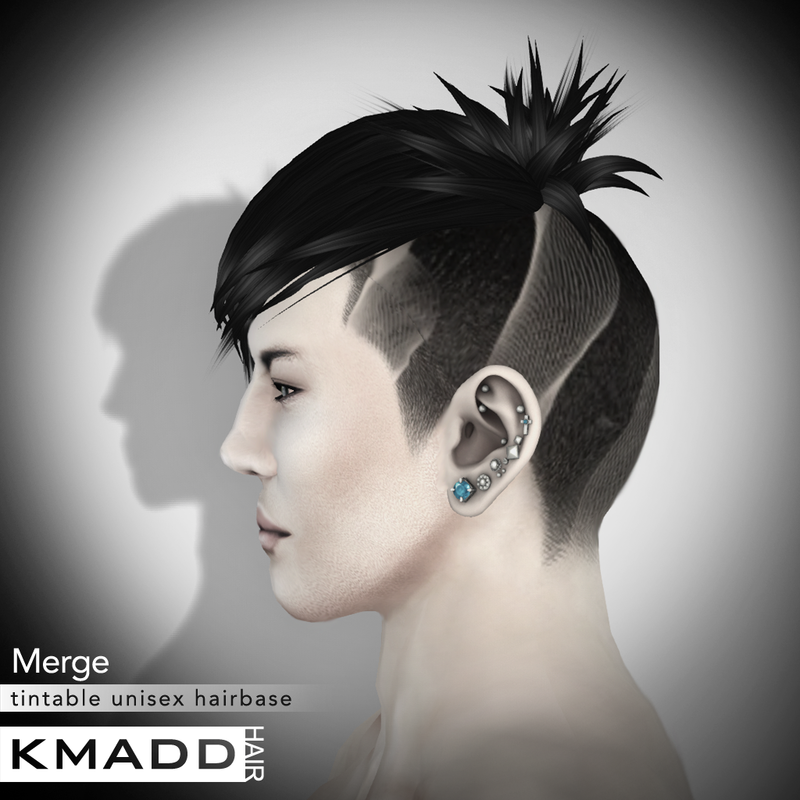 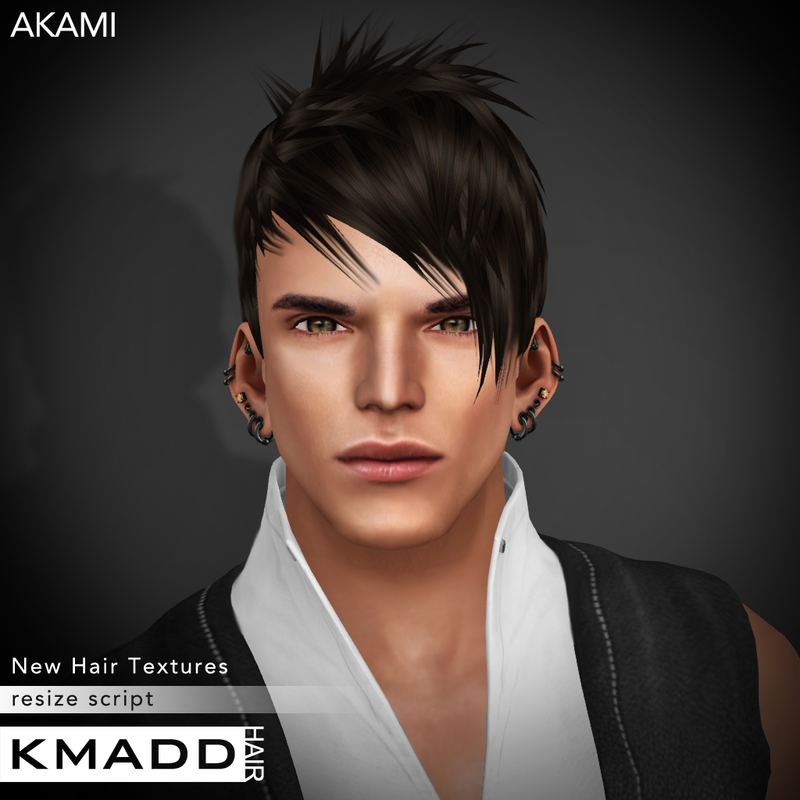 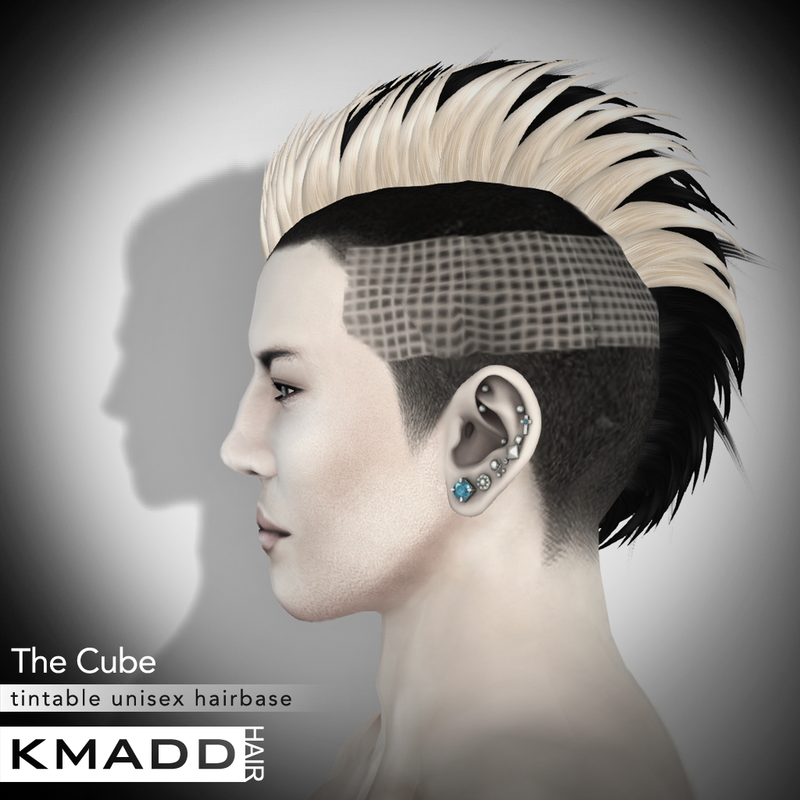 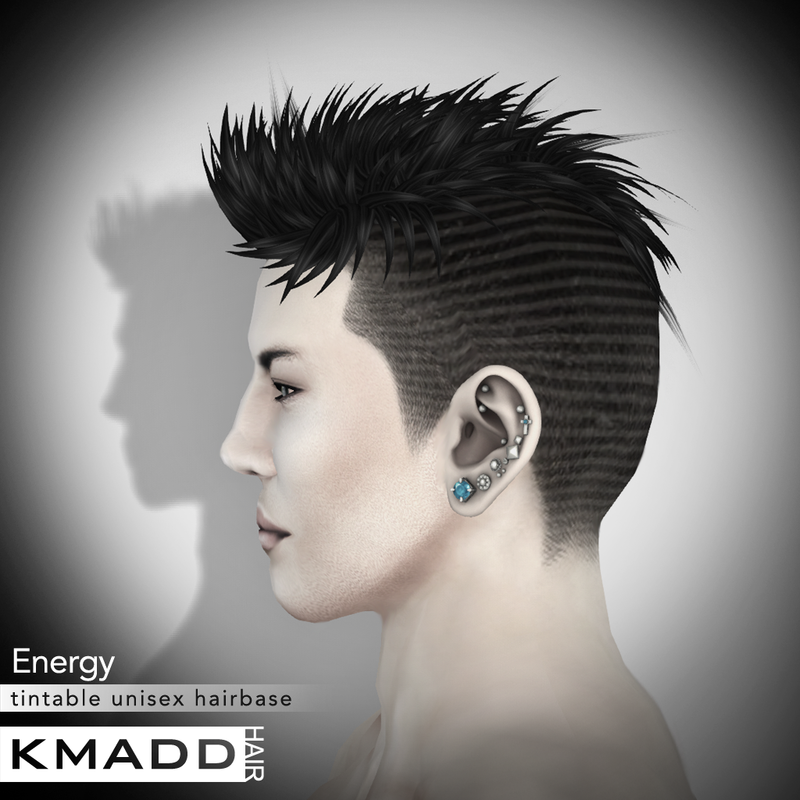 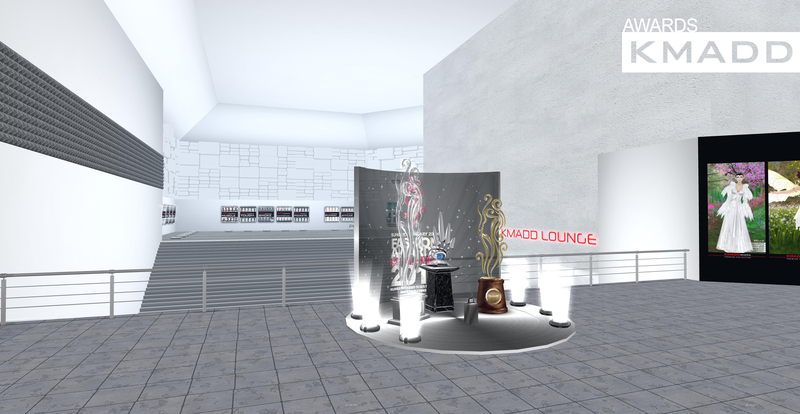 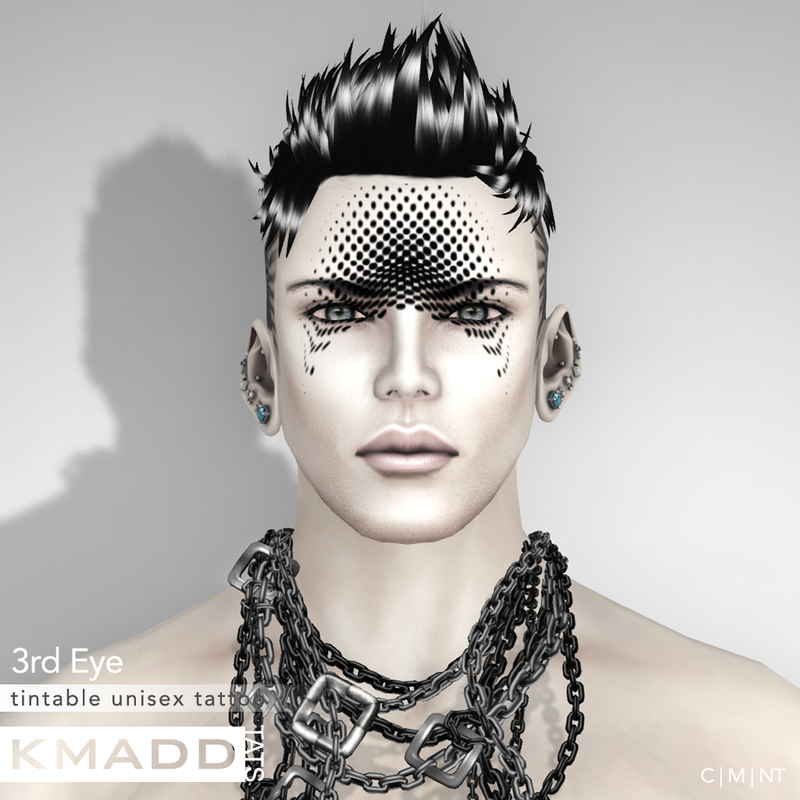 Introducing a new look for KMADD’s Hair and Avatar vendors. 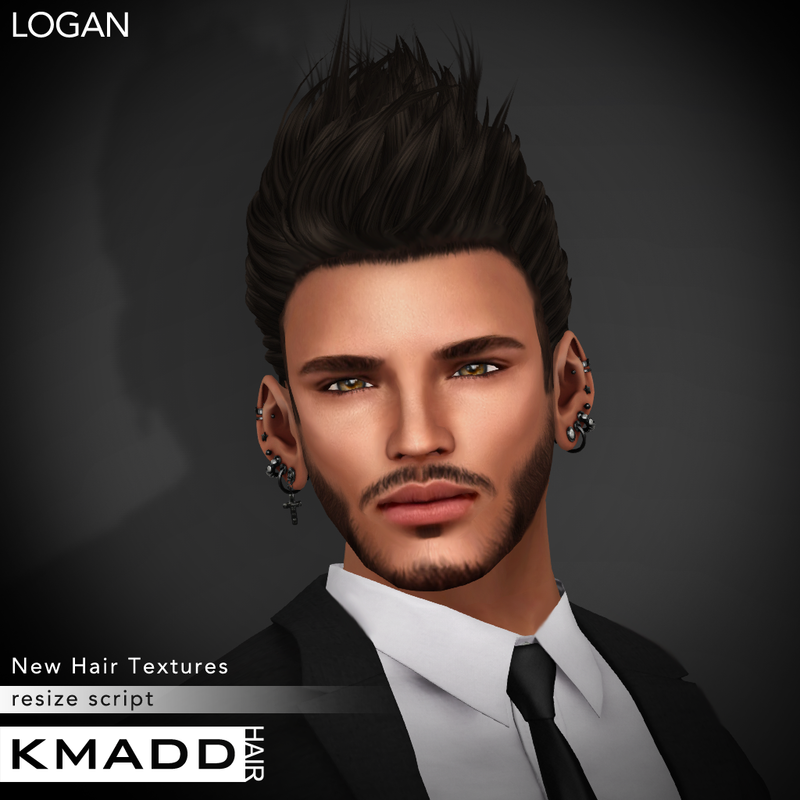 We have recently introduced new hair textures and we hope that our new hair vendors will help you differentiate hair that is textured with new colors. 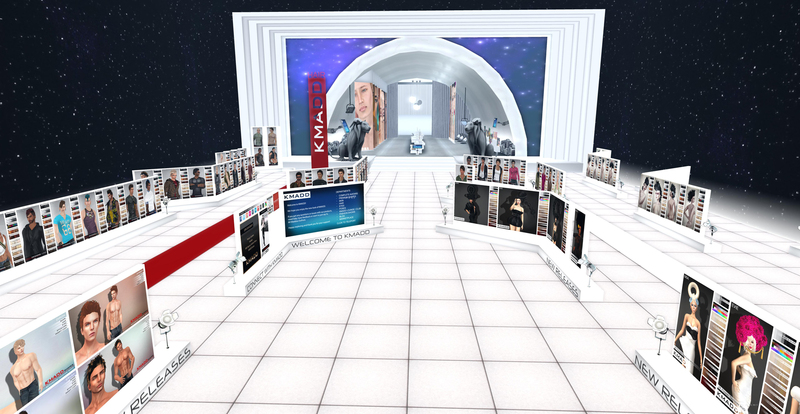 Therefore, our new hair vendors are now square instead of vertical. 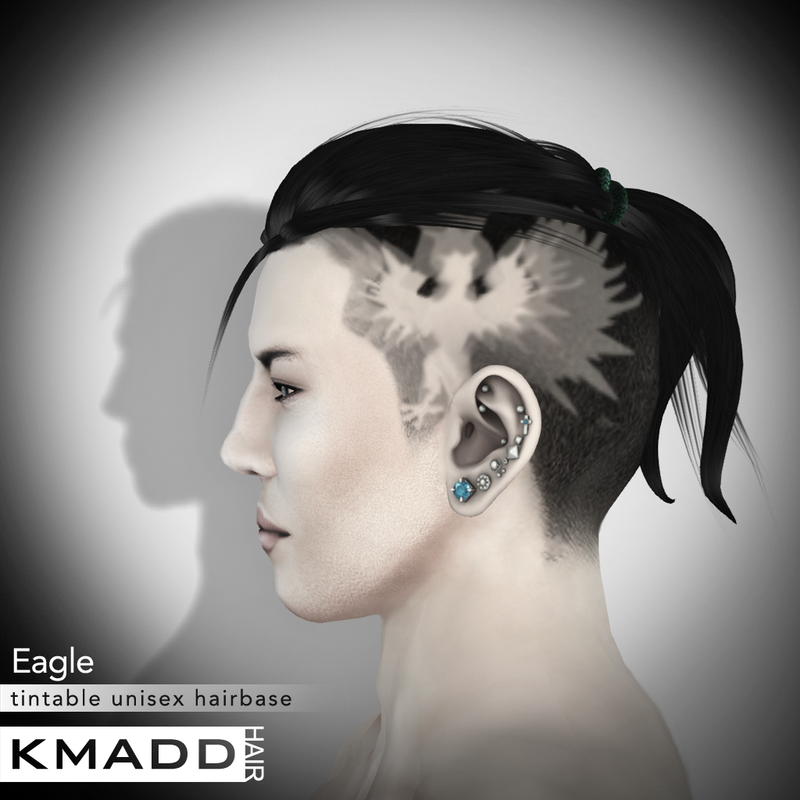 As per your request, we will also be releasing our hair models as avatars. 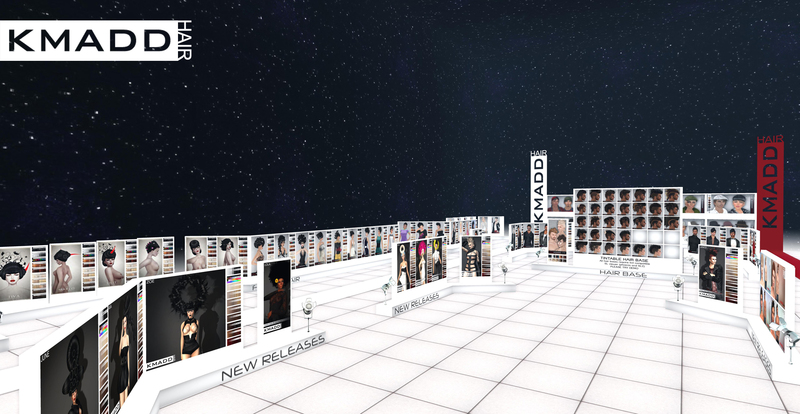 In fact, all our future hair releases will be accompanied with Avatar releases. 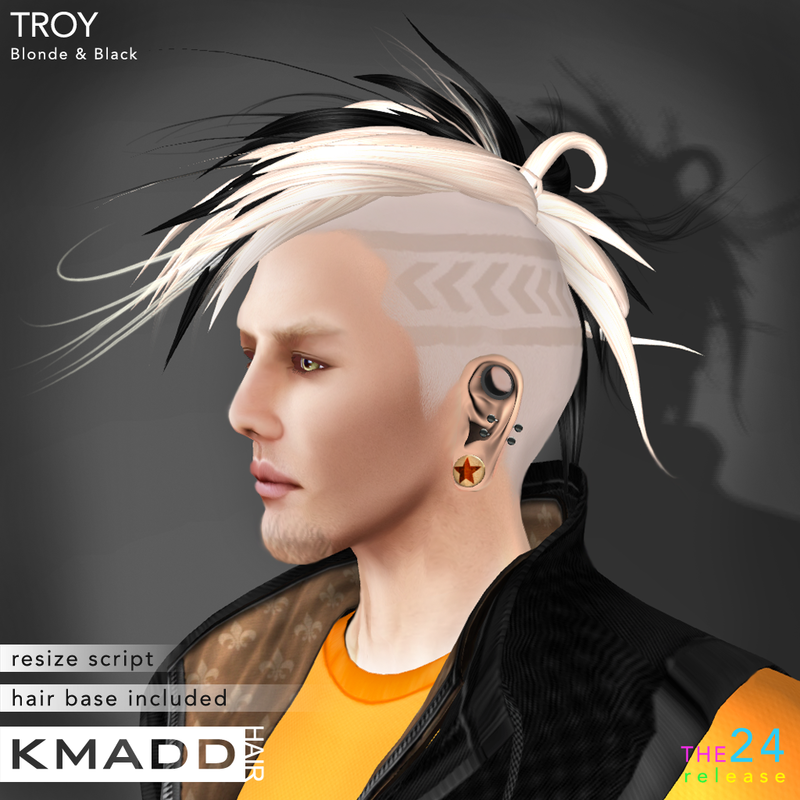 You will be pleased to know that all new hair comes with a resize script. 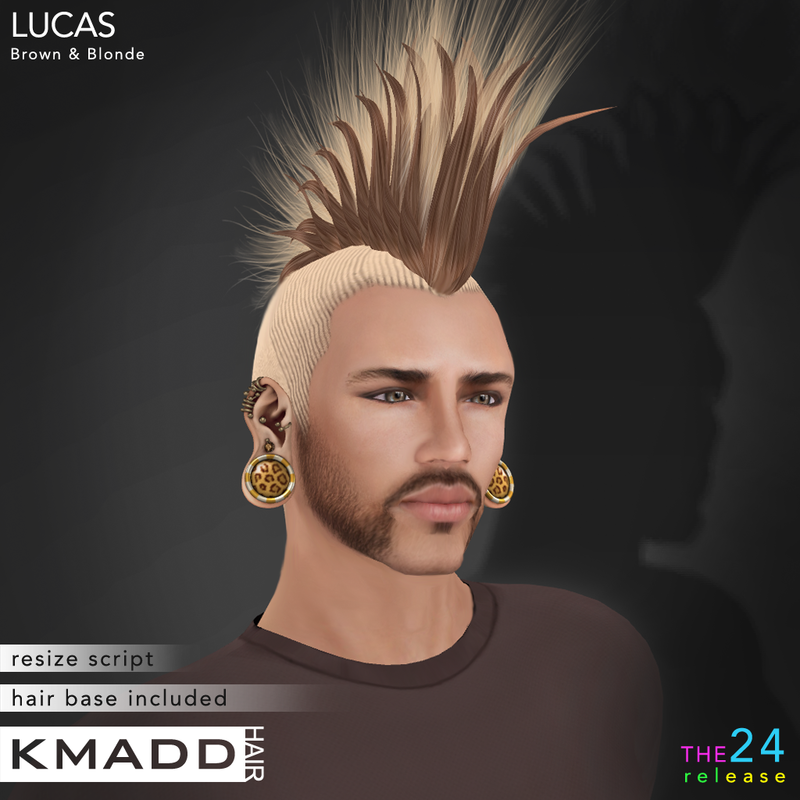 For a very long time, KMADD was against hair with a resize script for the very simple reason that it eliminated the need for new residents to learn the valuable skill of prim adjustment and camera work. 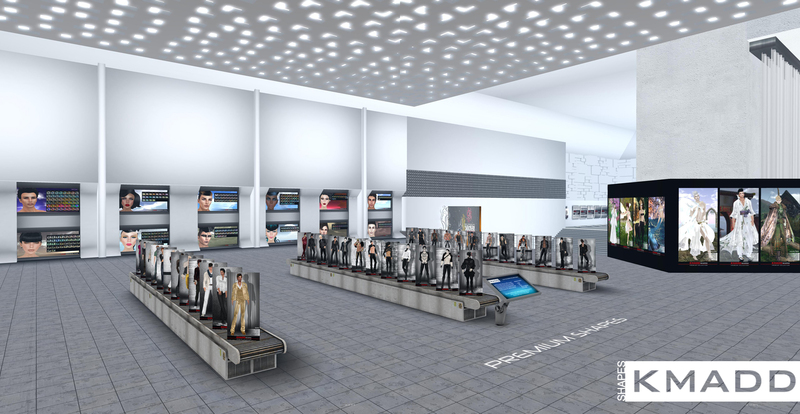 Yet, customers must always win! 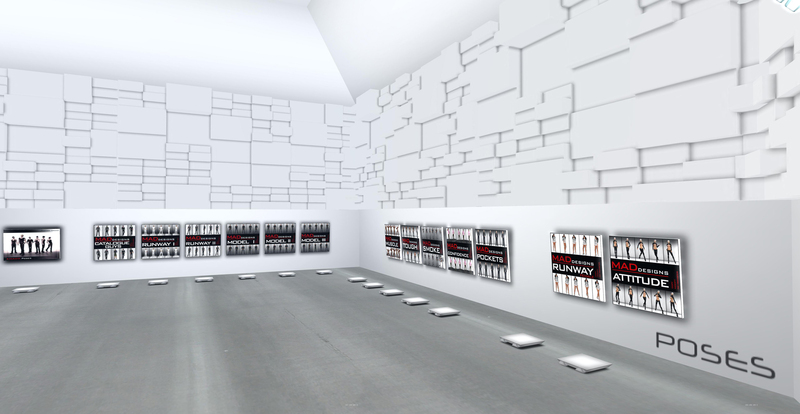 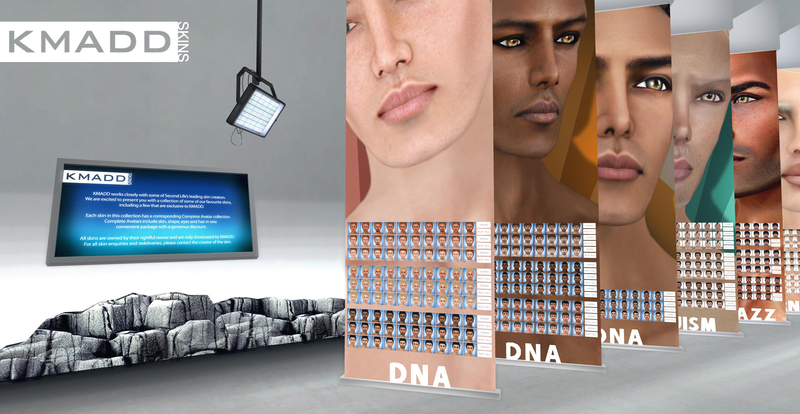 And we are happy to leave the education of new players to the loving community of Second Life that has always embraced the newcomers. 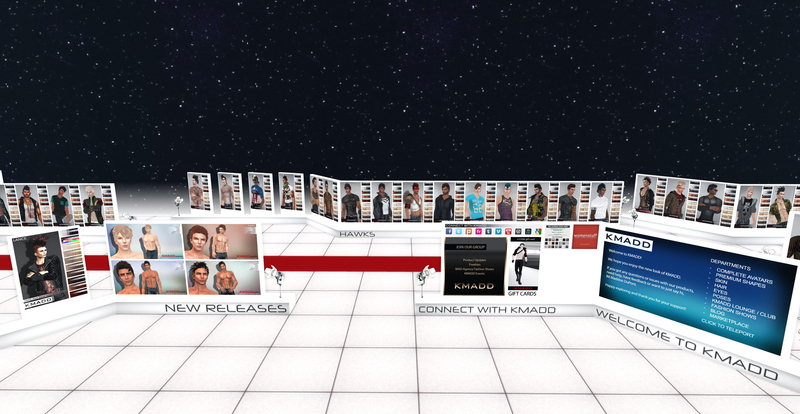 We all have that one friend we still remember; it is the first friend we met in Second Life. 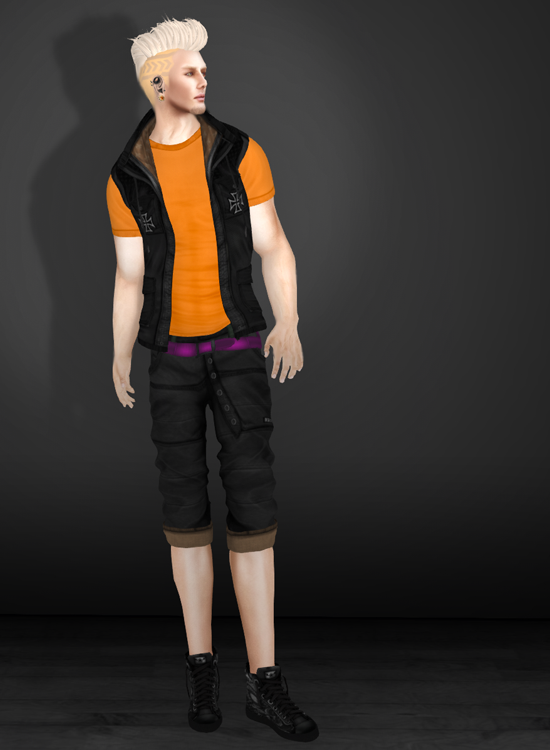 The friend who taught us everything after we skipped Orientation Island – all too eager to explore this big new world. 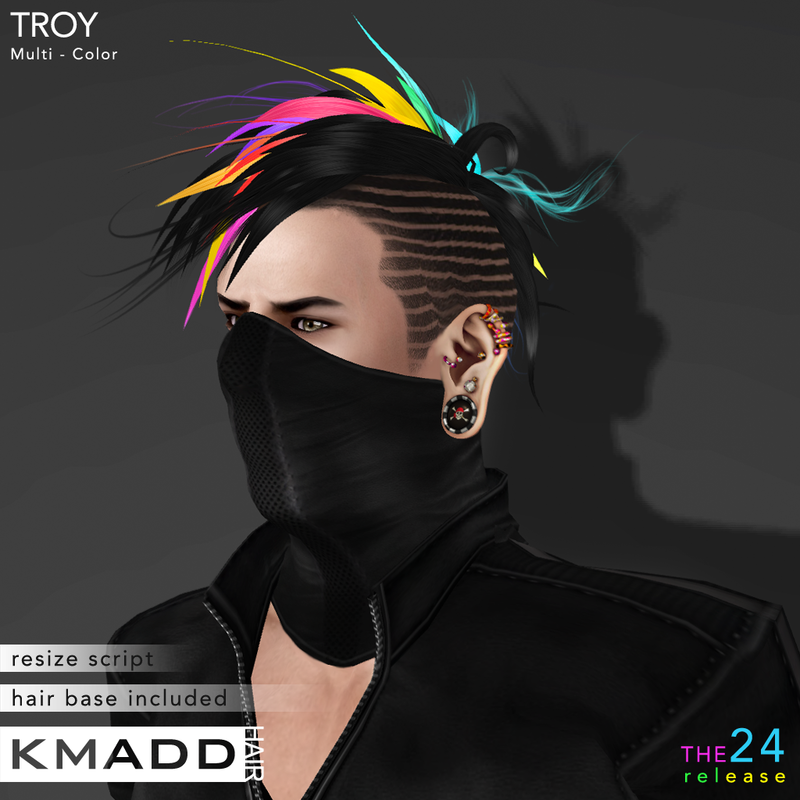 In this week’s release we would like to introduce you to TROY. 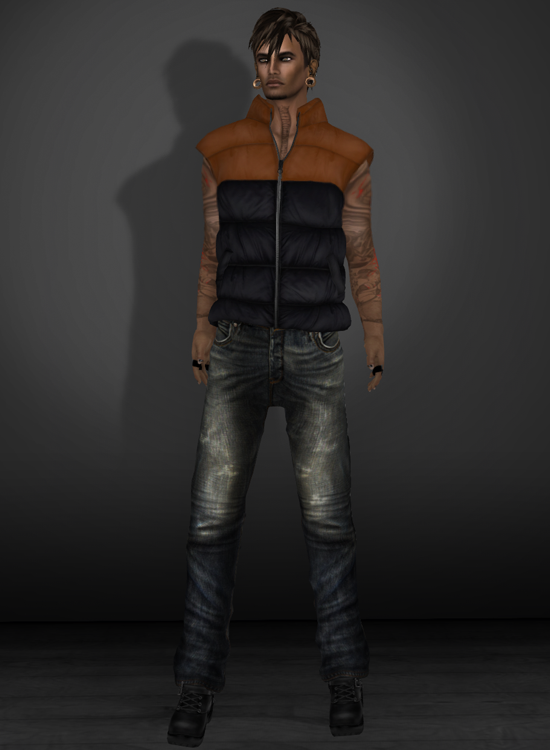 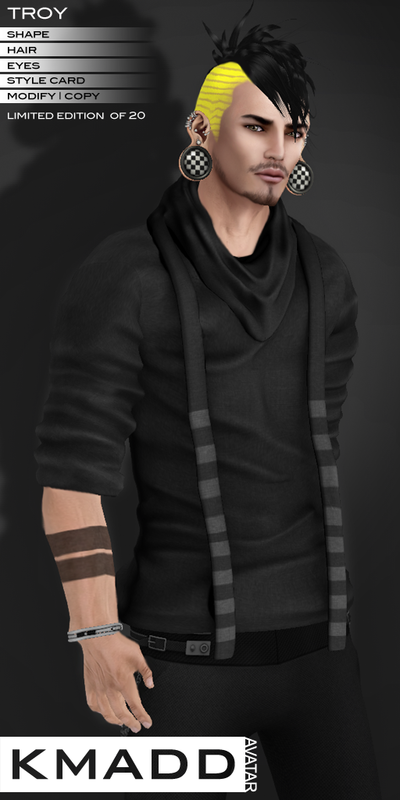 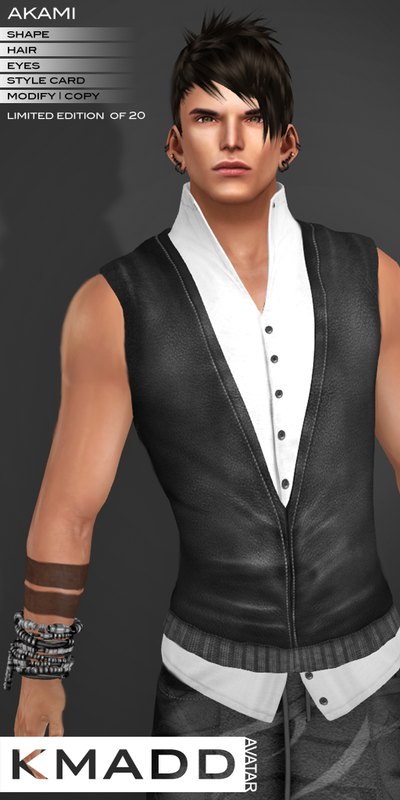 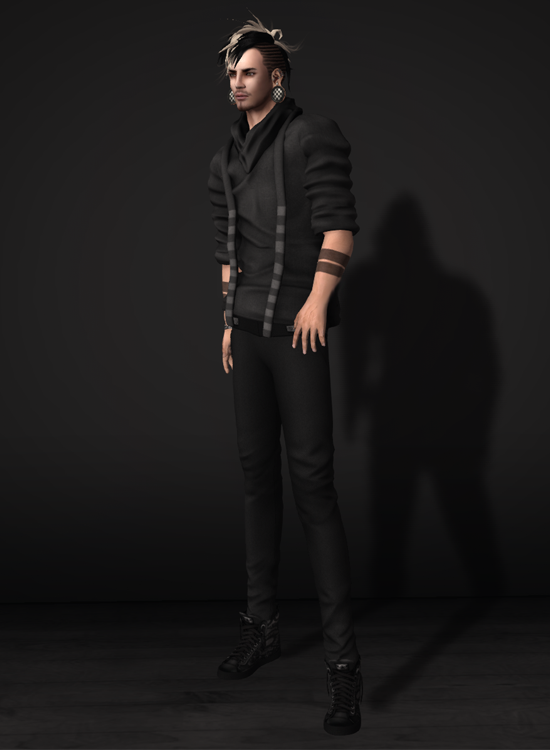 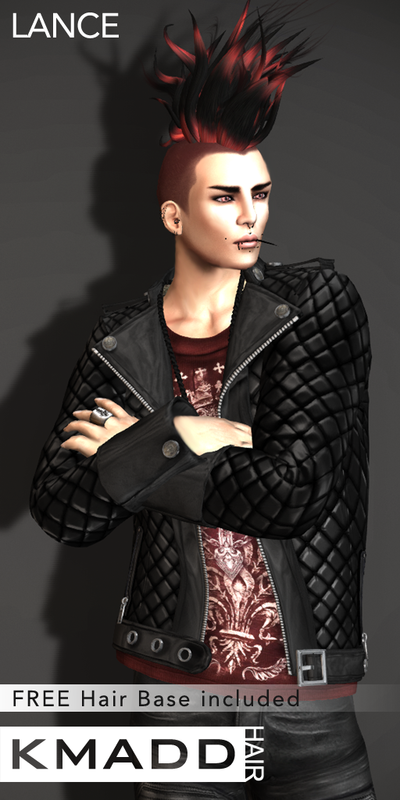 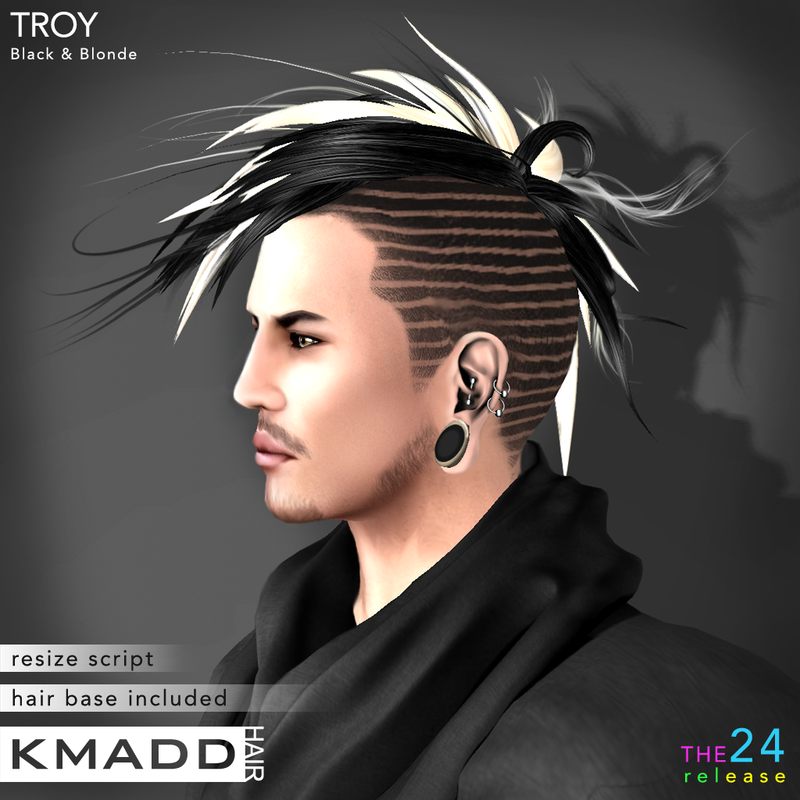 TROY Avatar is slender, medium height and edgy, while still remaining extremely handsome and masculine. 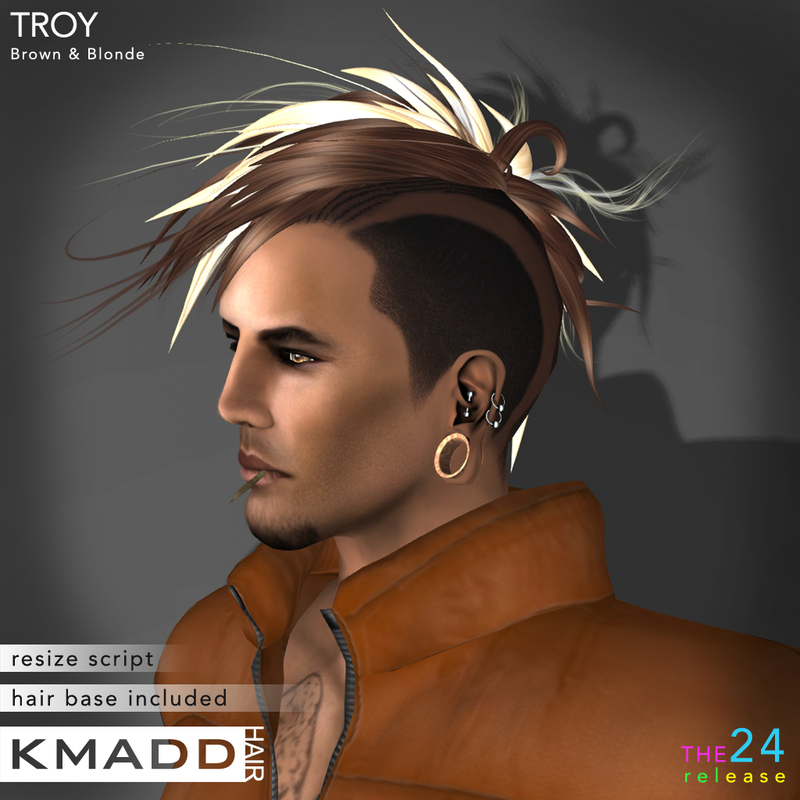 There are two versions available: one for the outfit Troy is wearing, and the second one is a naked well proportioned shape for beach goers. 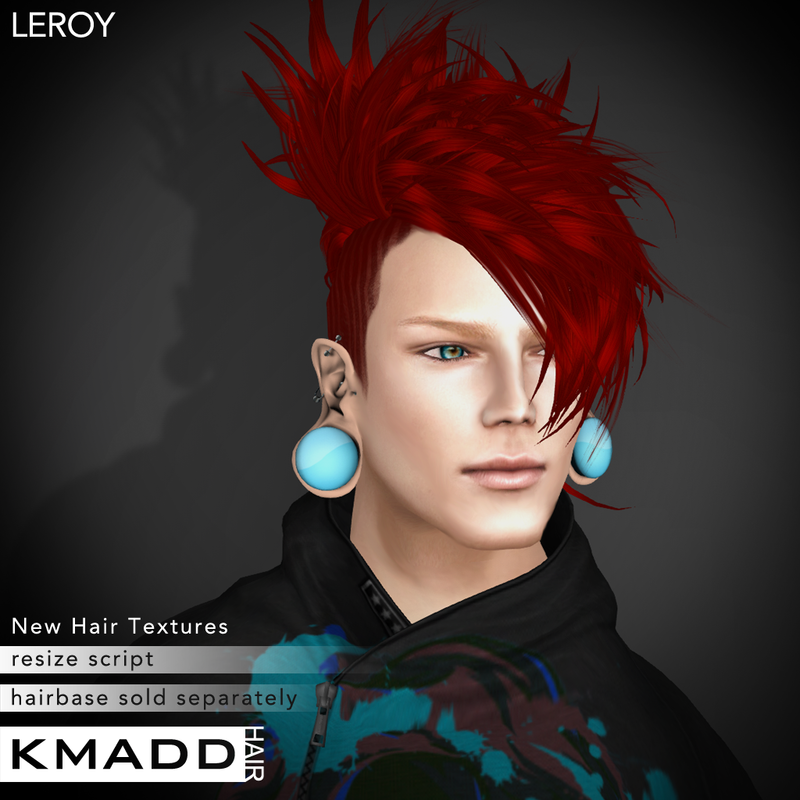 Hair, hair base, and eyes are all included in the Avatar package. 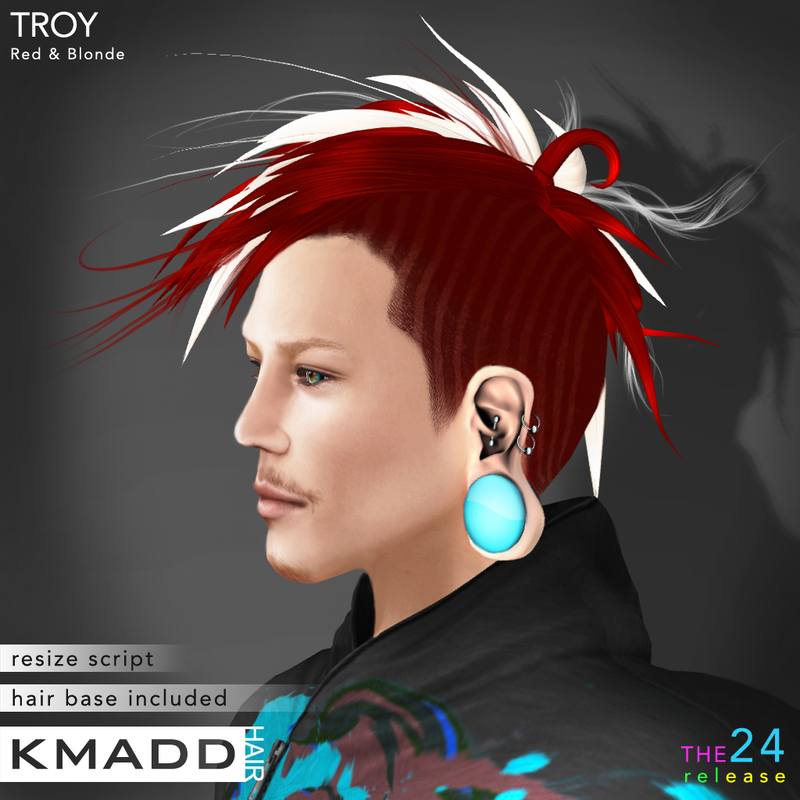 Troy is a Limited Edition Avatar from KMADD – only twenty will be sold. 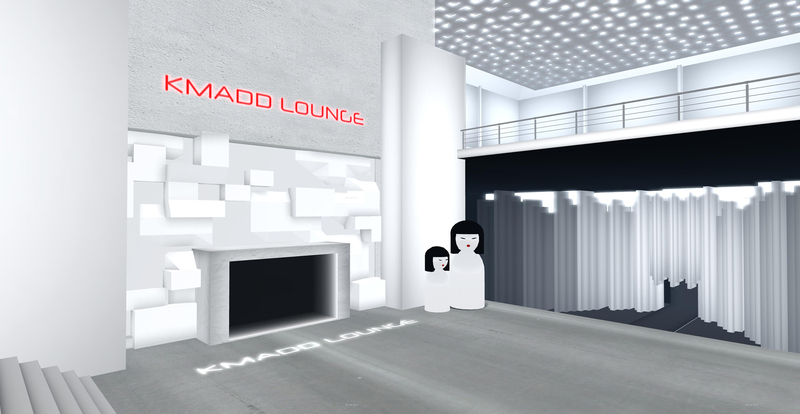 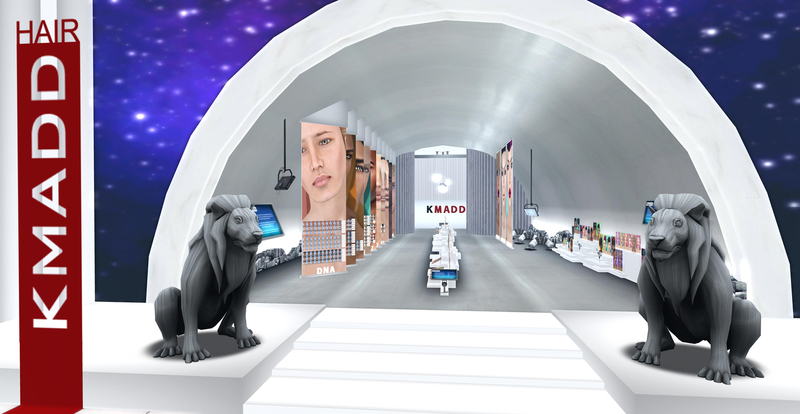 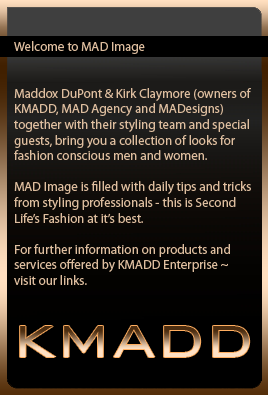 We would love you to meet your new You – so visit KMADD today and try a DEMO – you won’t be disappointed. 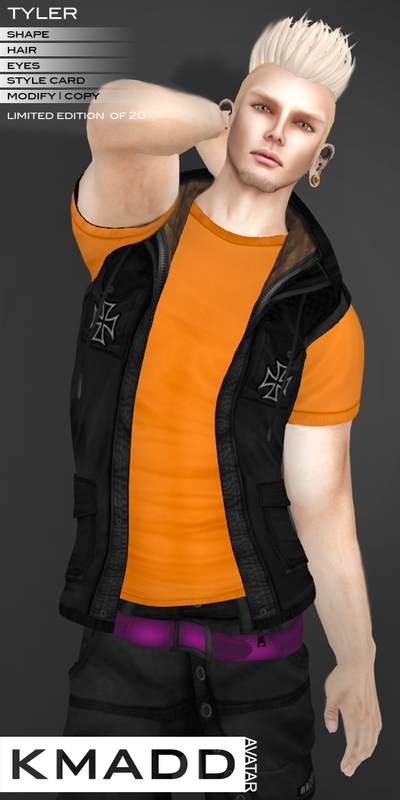 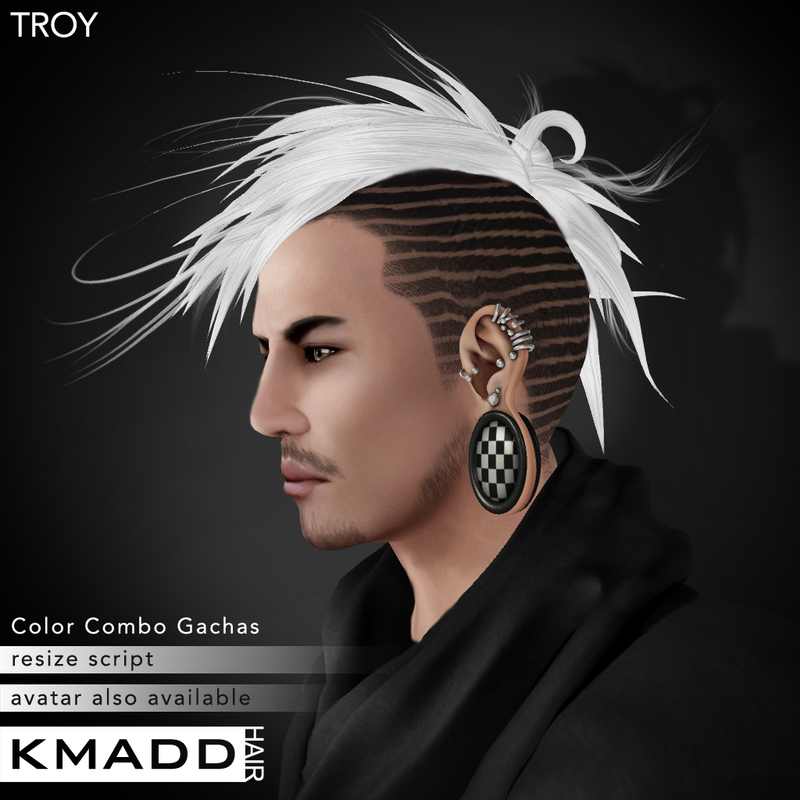 Troy is textured with brand new hair colors + 24 additional color combos – available only through the Gacha located here in our store.